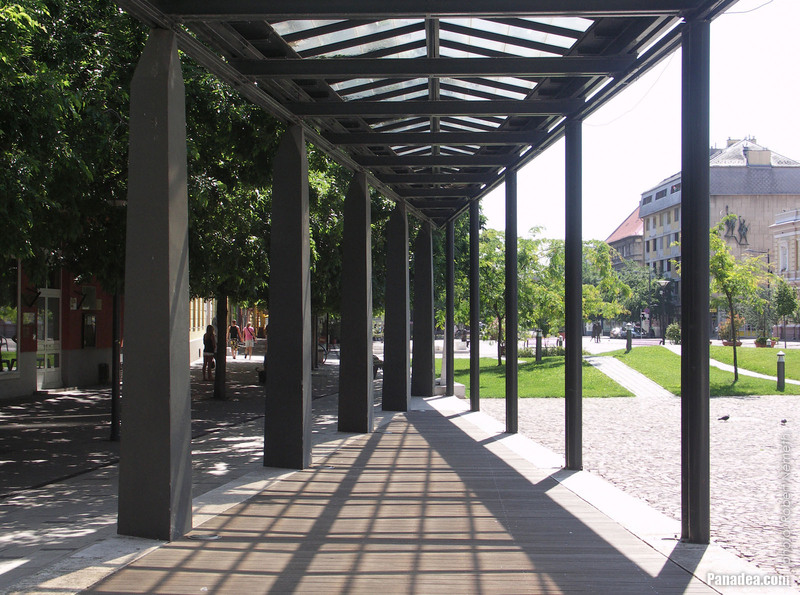 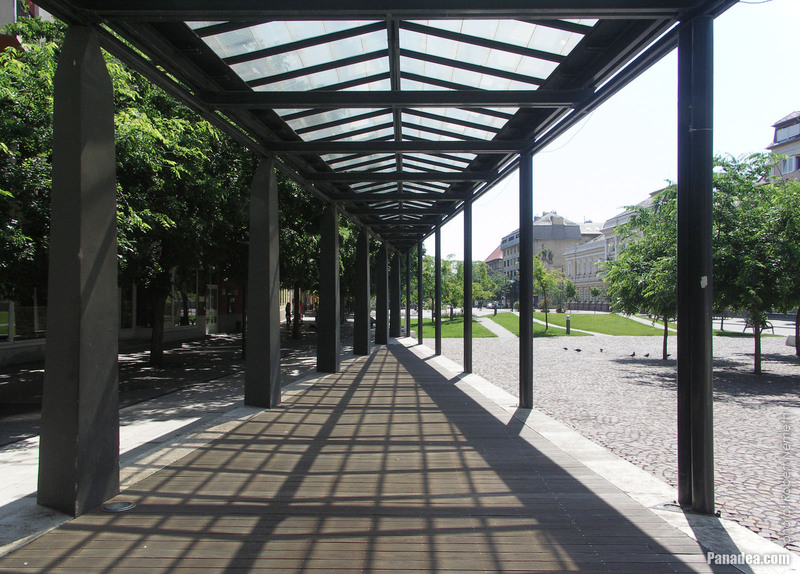 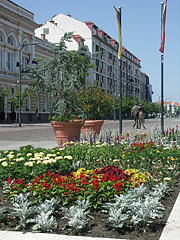 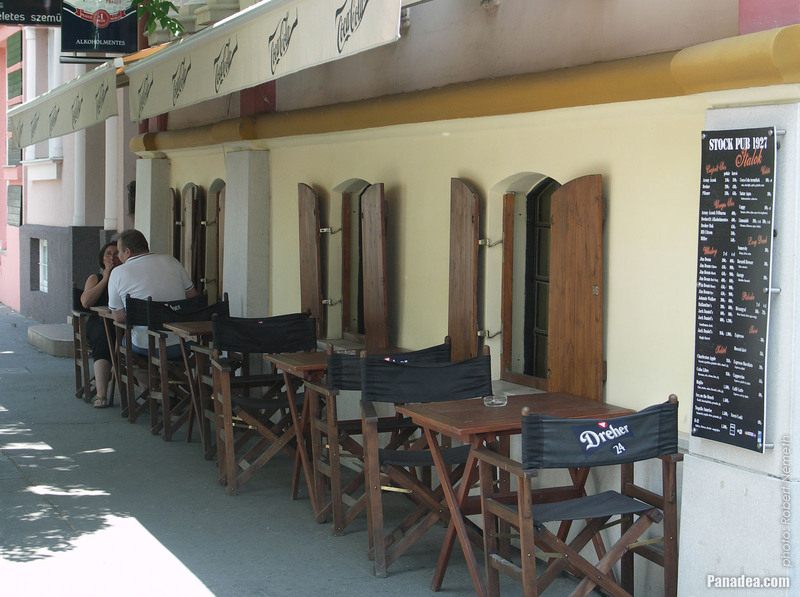 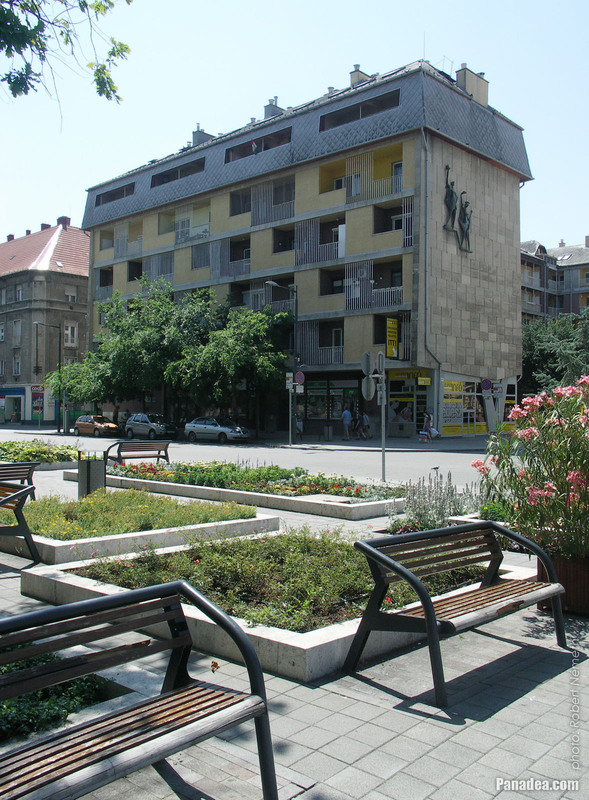 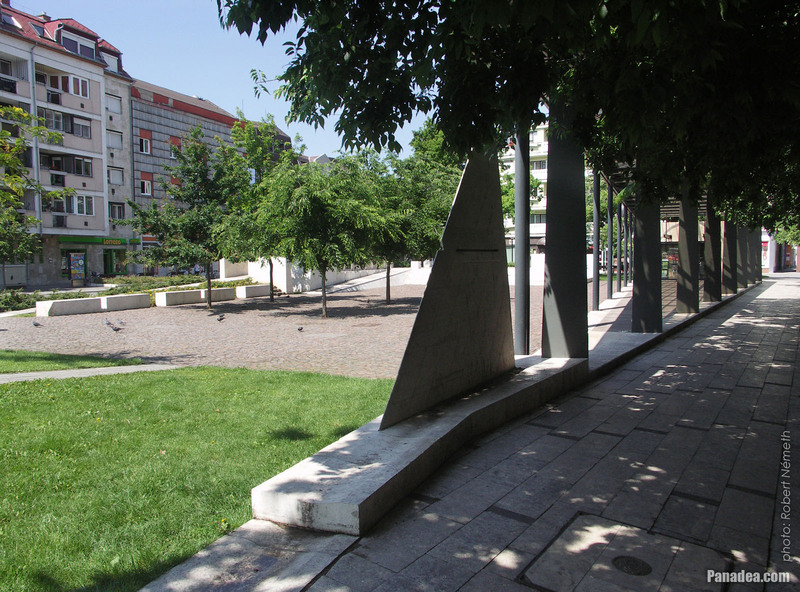 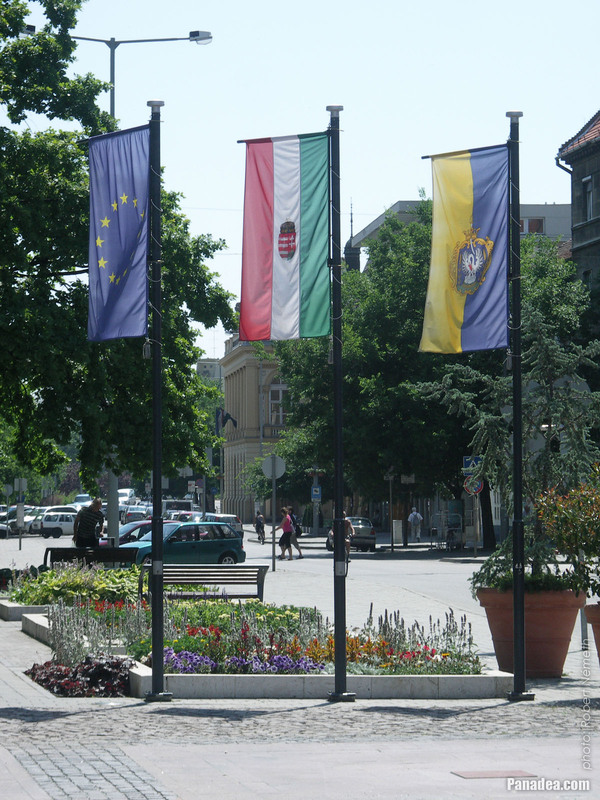 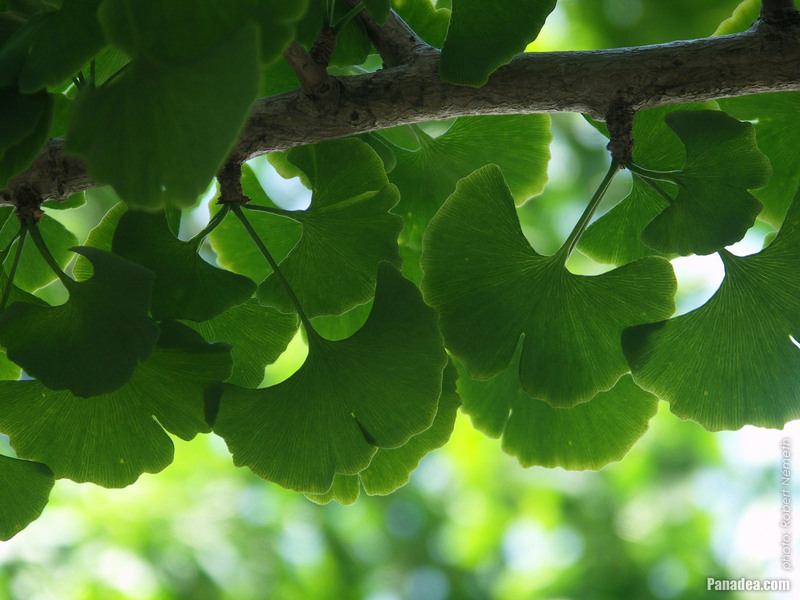 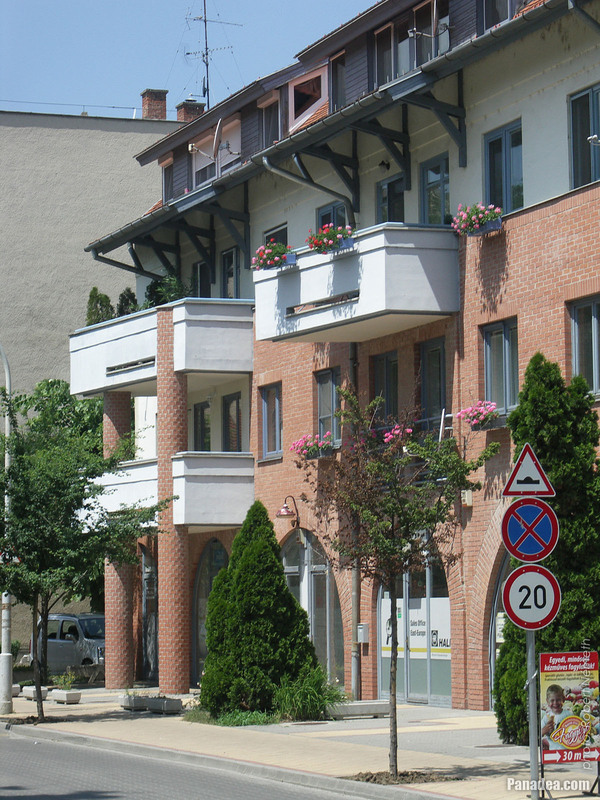 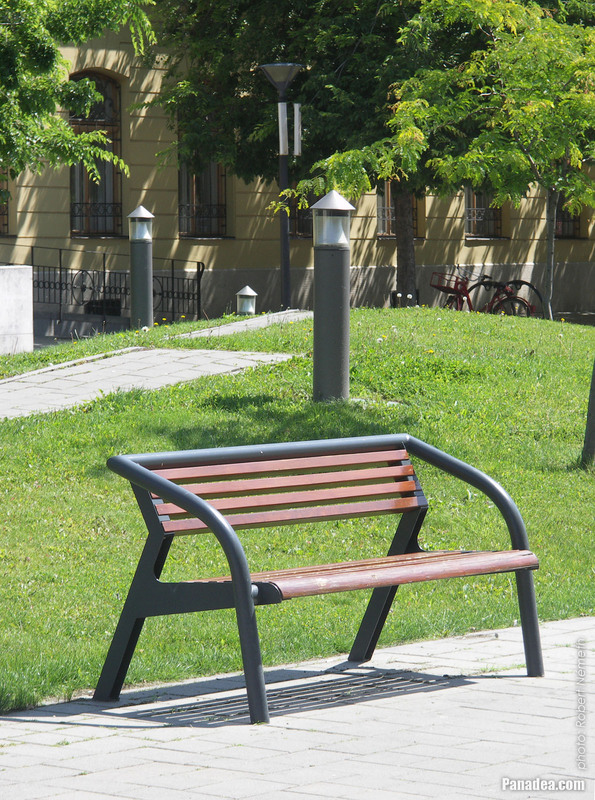 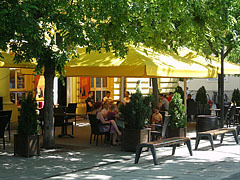 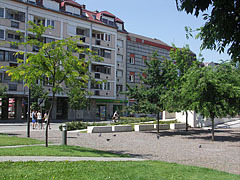 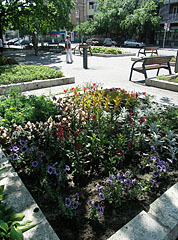 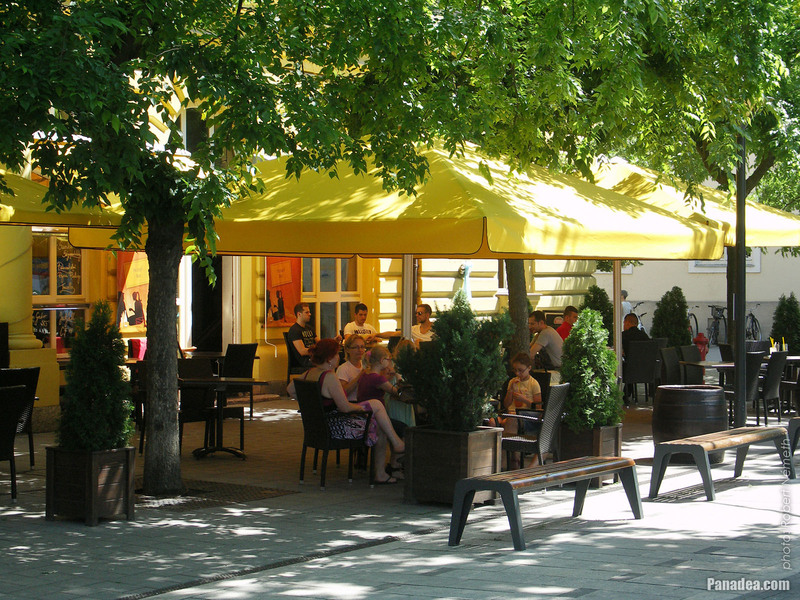 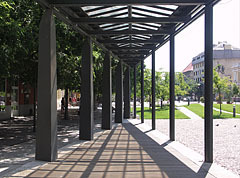 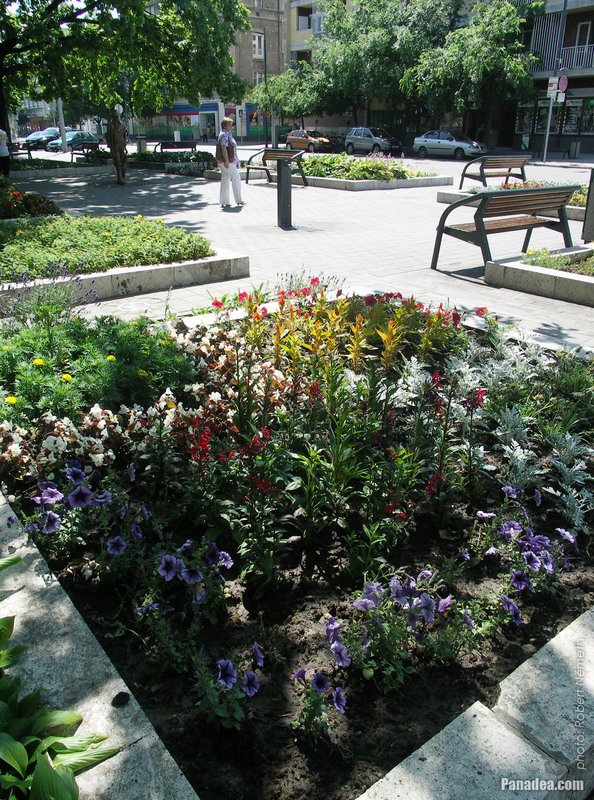 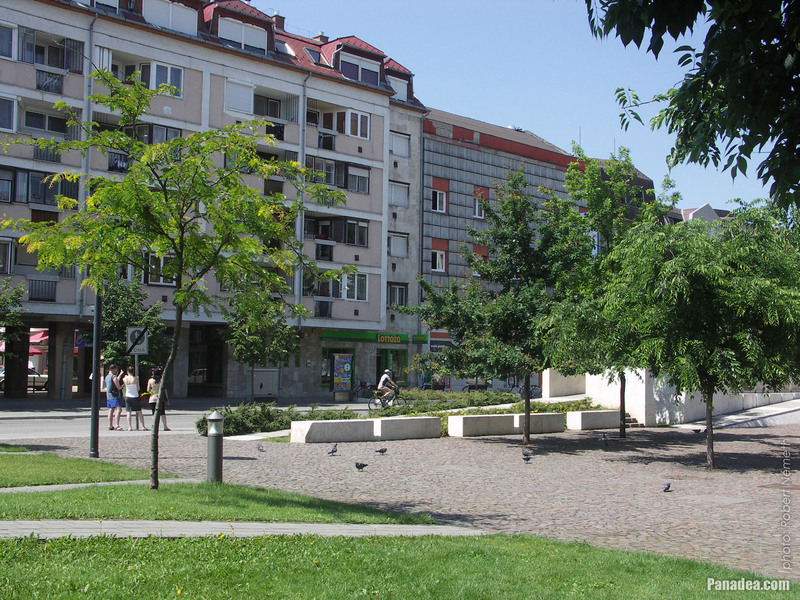 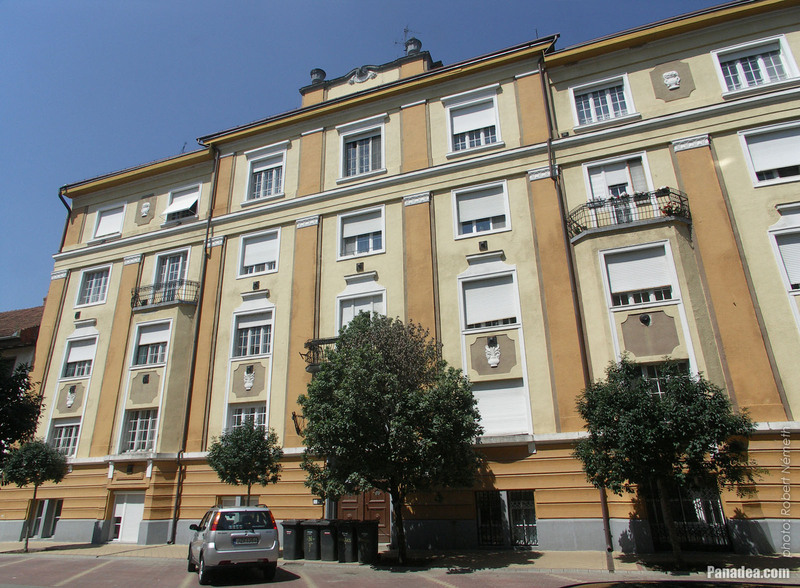 At that time the square was called "Piac tér", which means literally "Market Square". 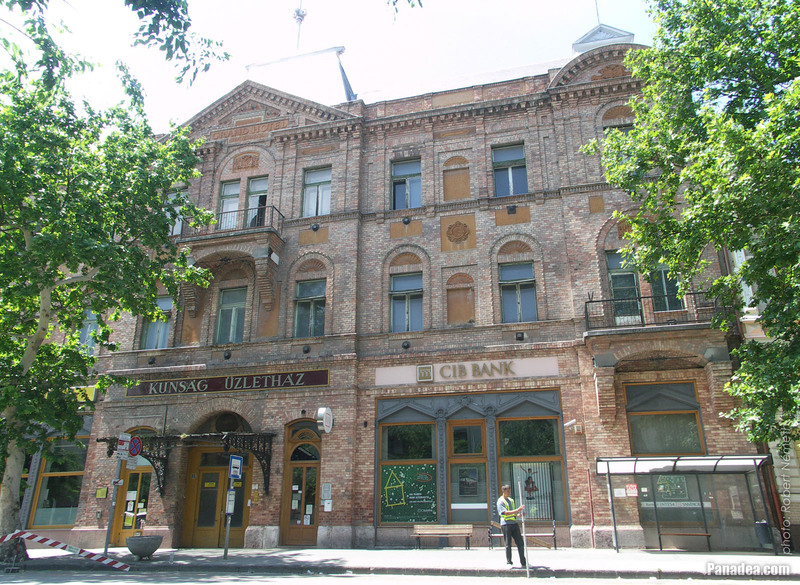 Once there was a hotel and a coffee house within its walls with sparkling social life. 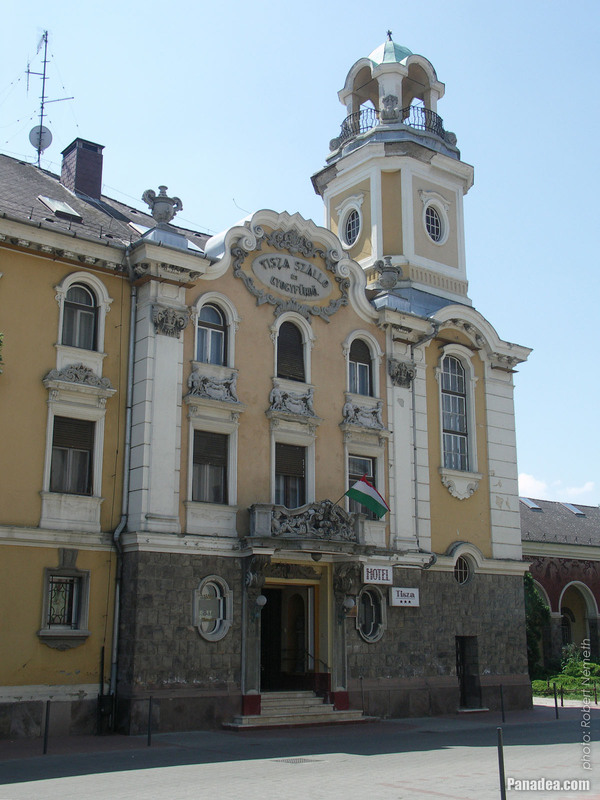 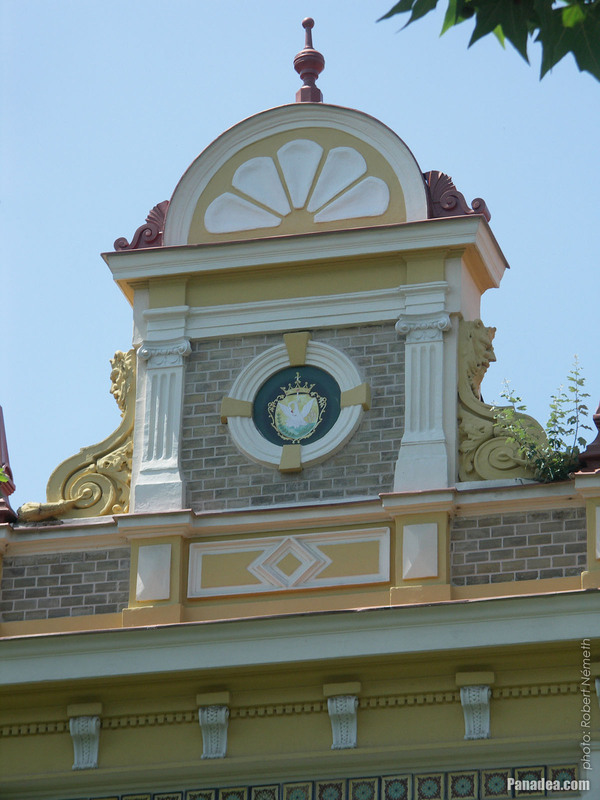 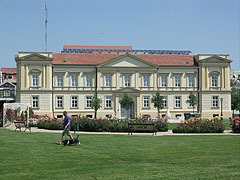 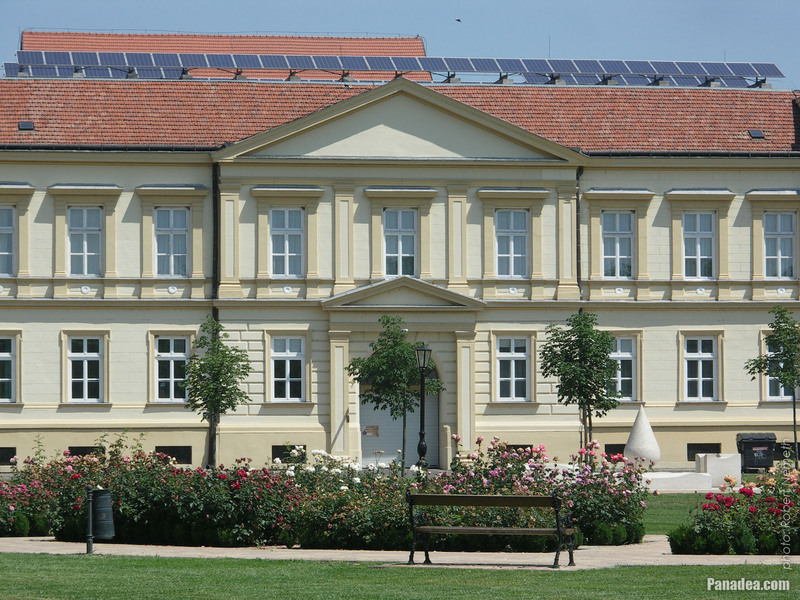 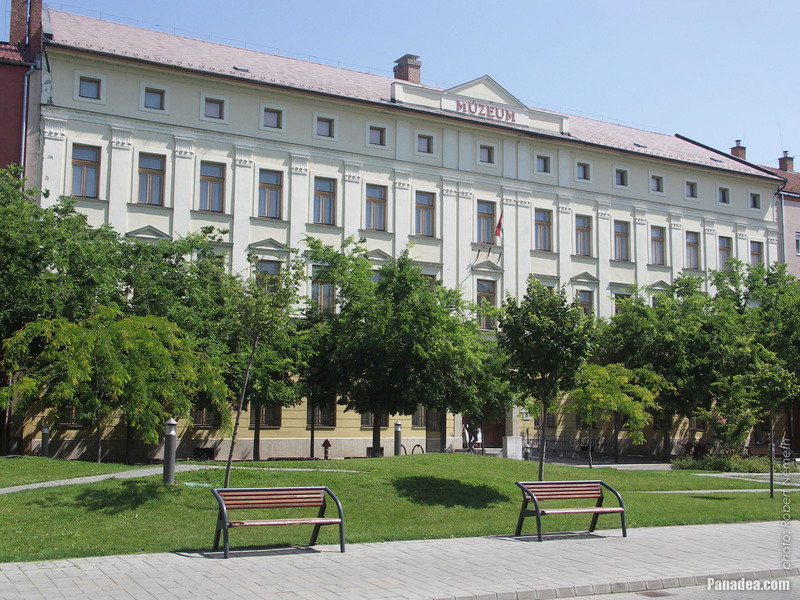 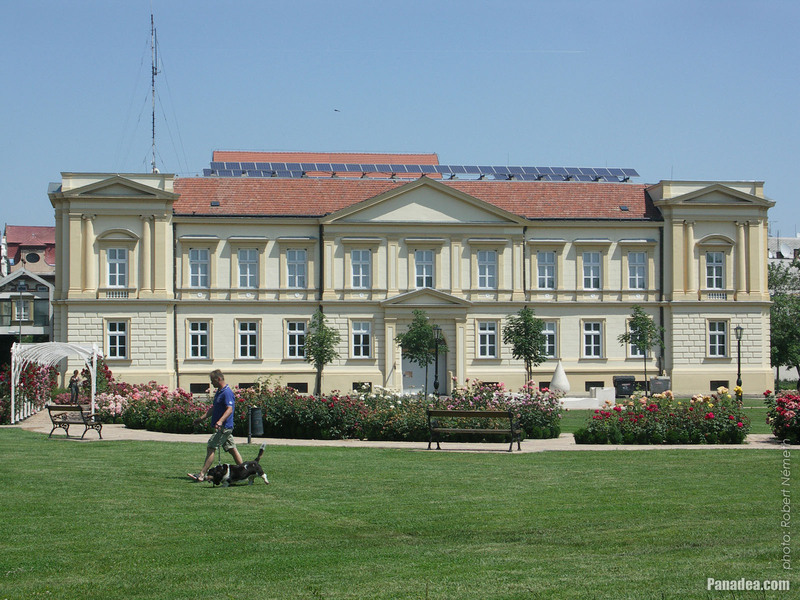 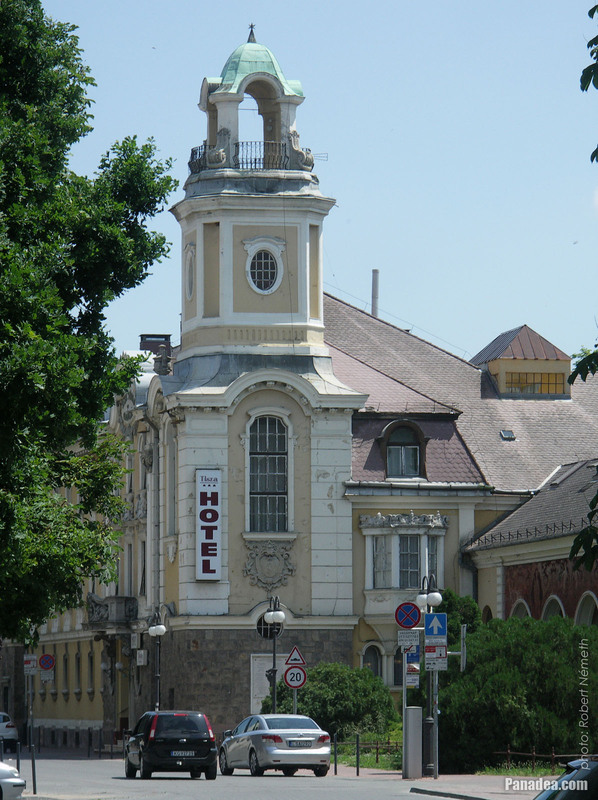 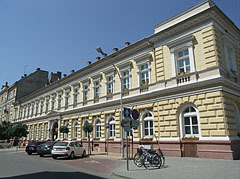 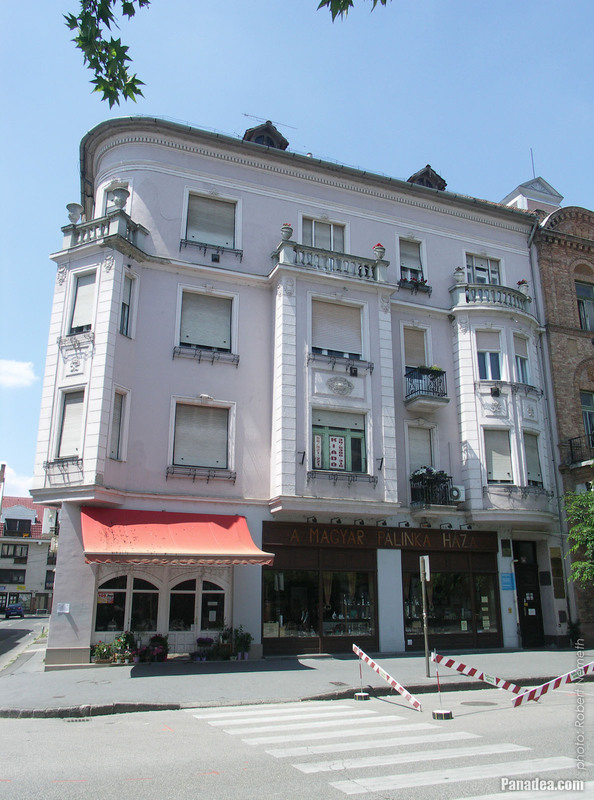 Initially it was the Hotel Magyar Király ("Hotel King of Hungary"), it was built in 1860 and designed by Lajos Obermayer, it is museum since 1952. 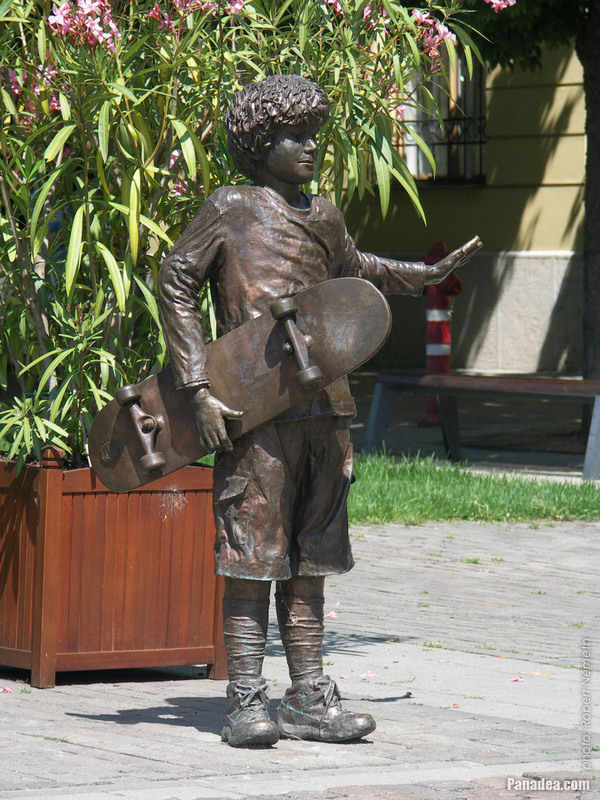 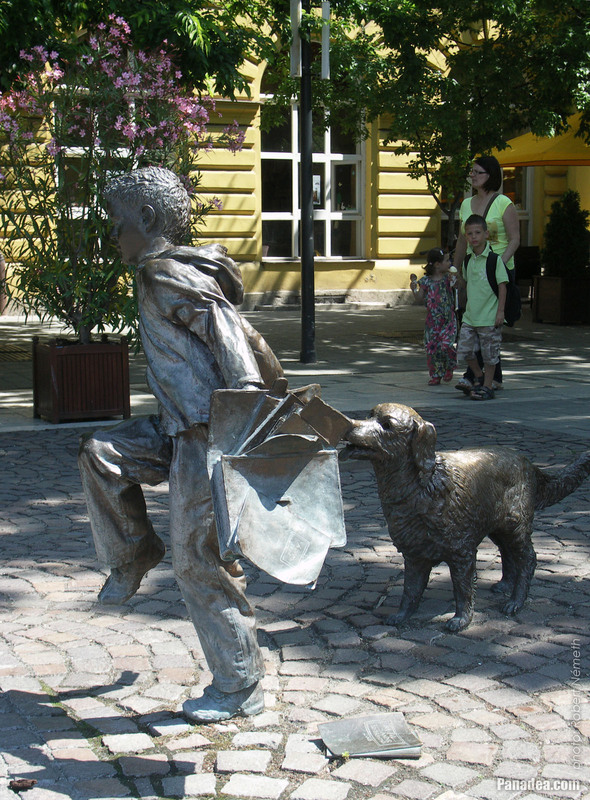 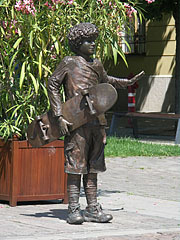 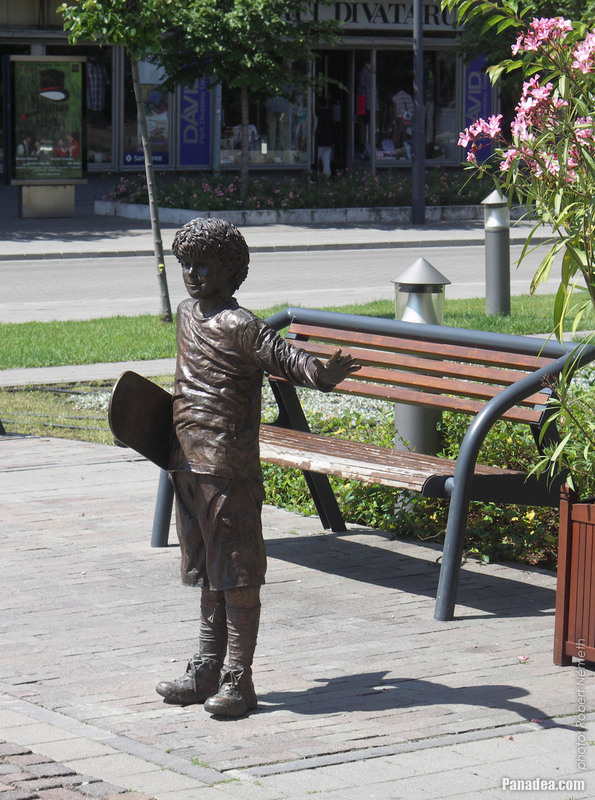 Lifesize bronze statue of a "Skateboarding boy"
The same credit was used to build the Tisza Hotel and Thermal Bath as well, it was granted by the Speyer & Co. Bank, New York. 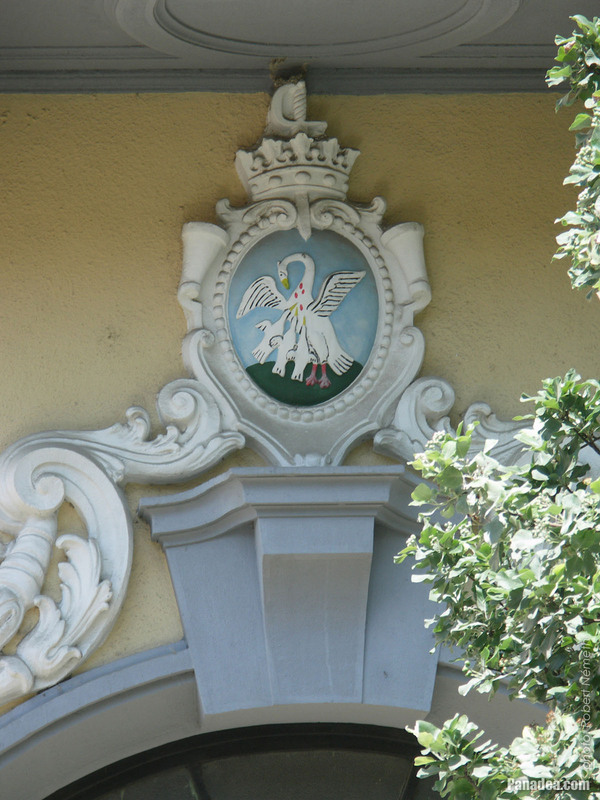 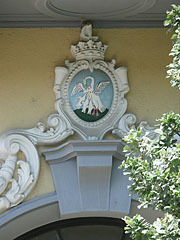 Although here the heraldic bird is more like a swan than a pelican. 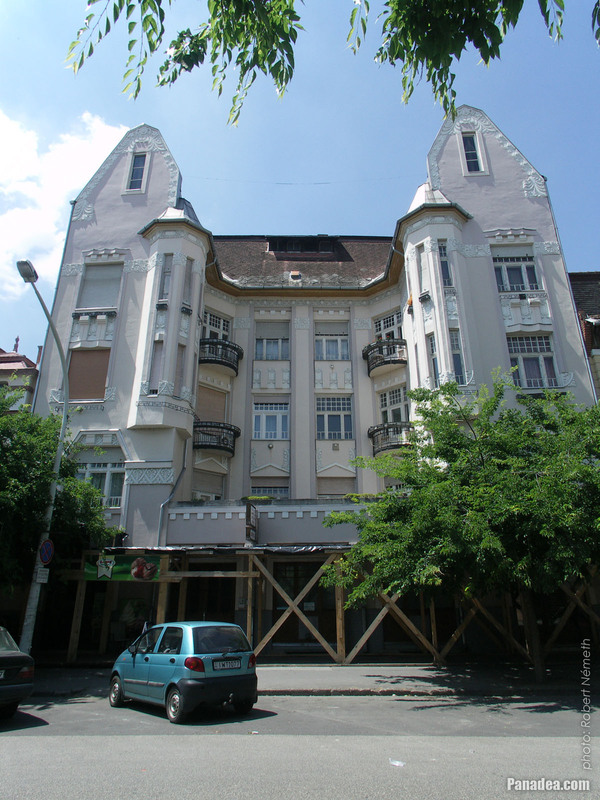 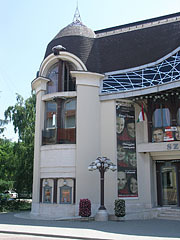 It was built in 1990, designed by architect Mária Siklós (she designed the new National Theater in Budapest as well) and interior designer Gábor Schinagl. 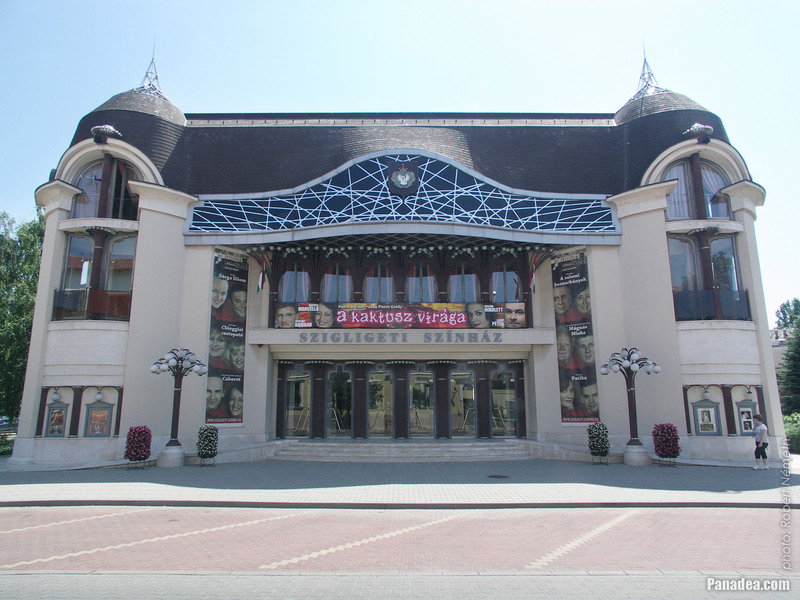 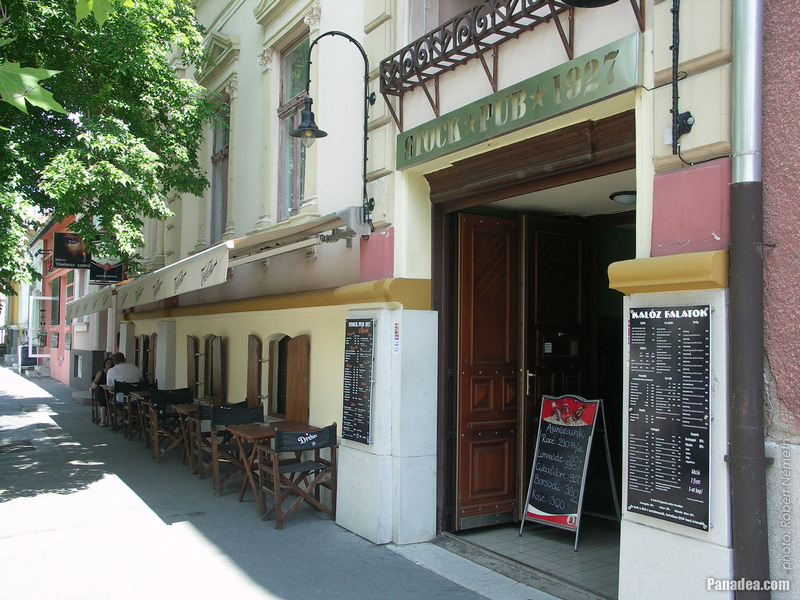 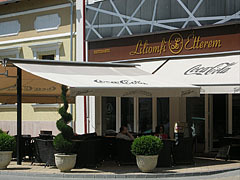 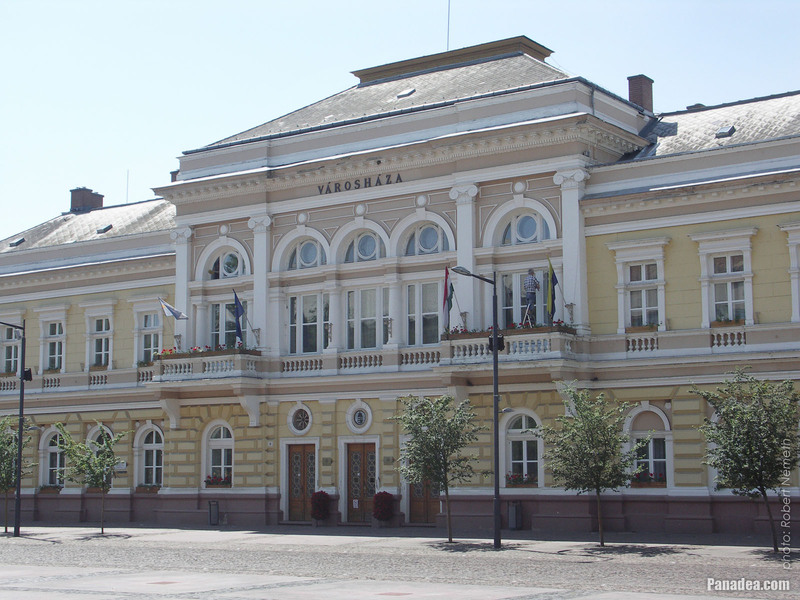 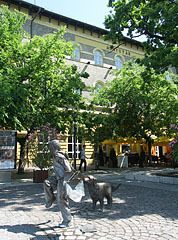 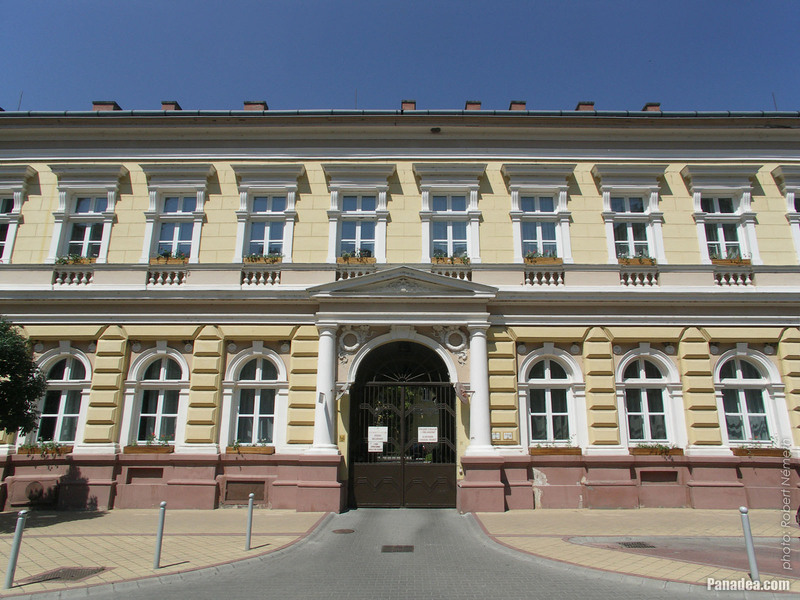 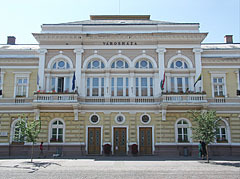 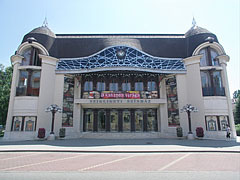 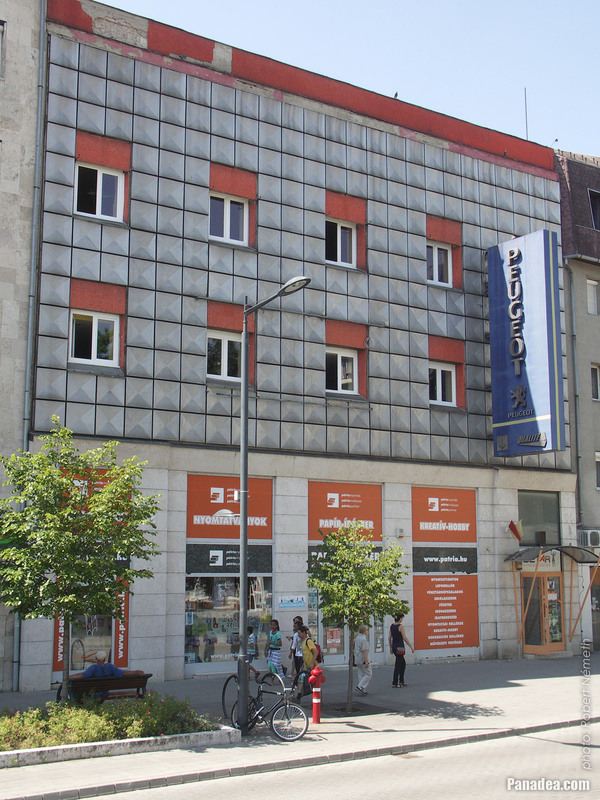 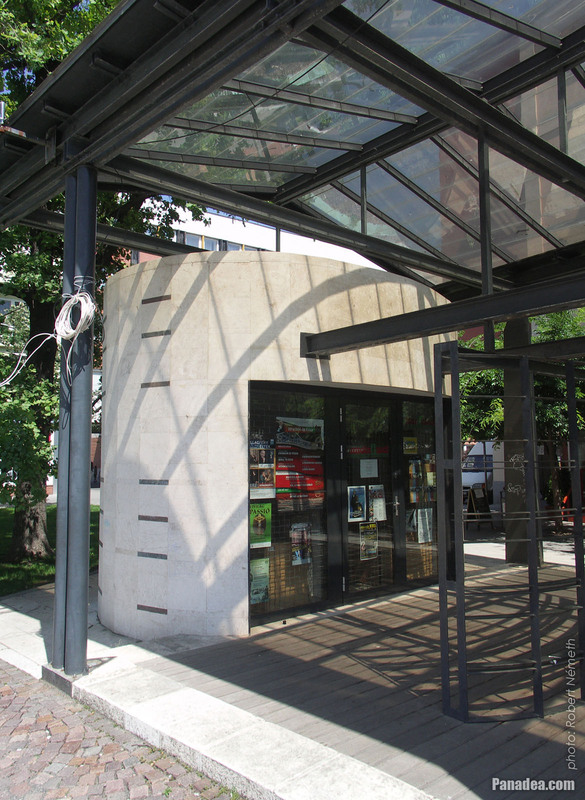 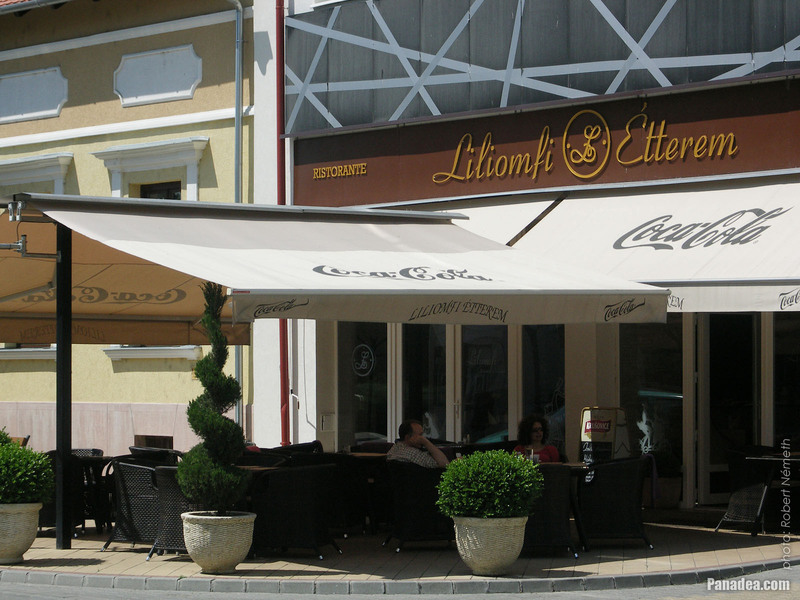 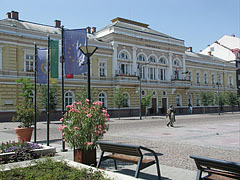 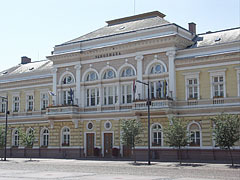 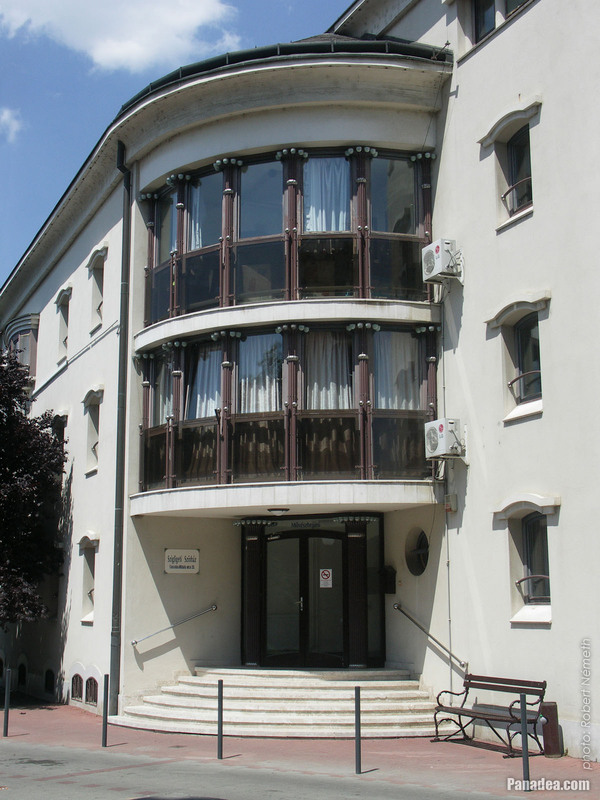 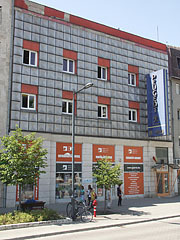 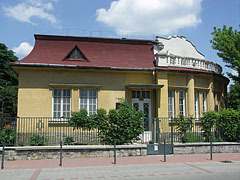 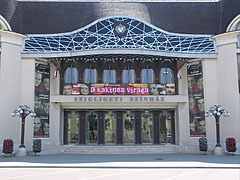 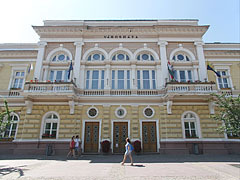 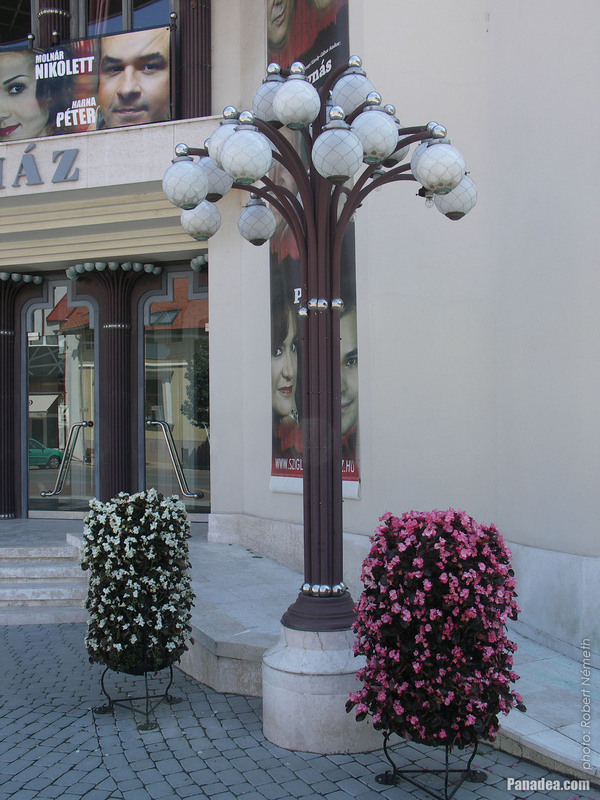 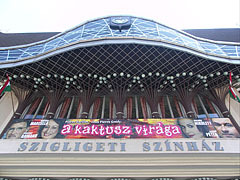 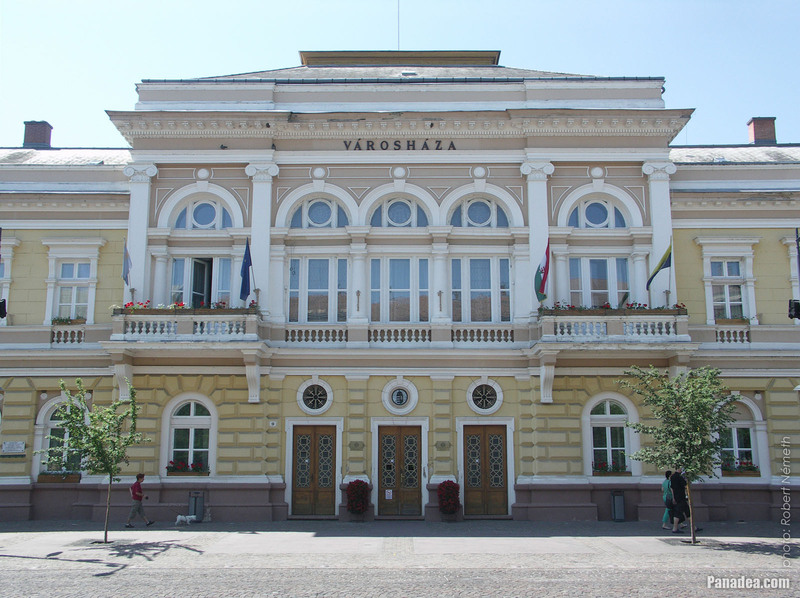 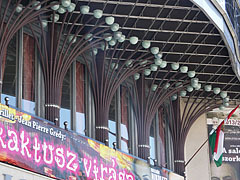 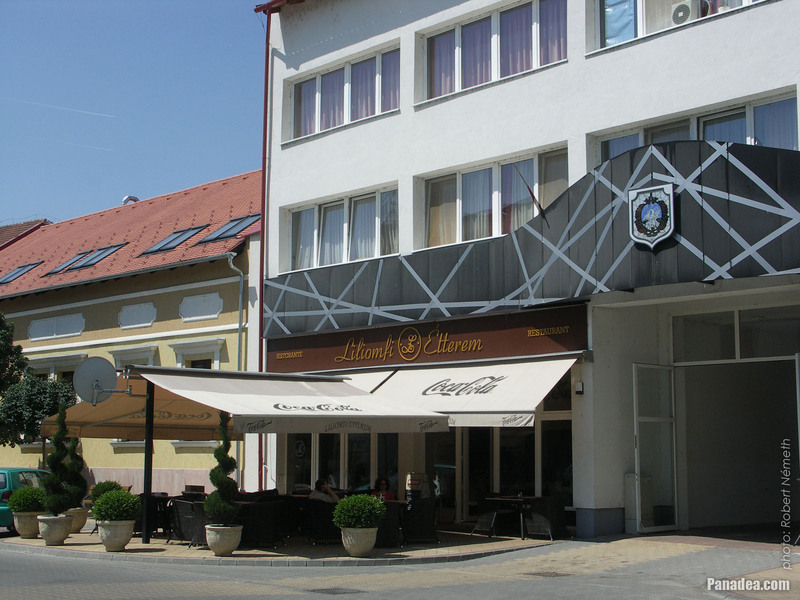 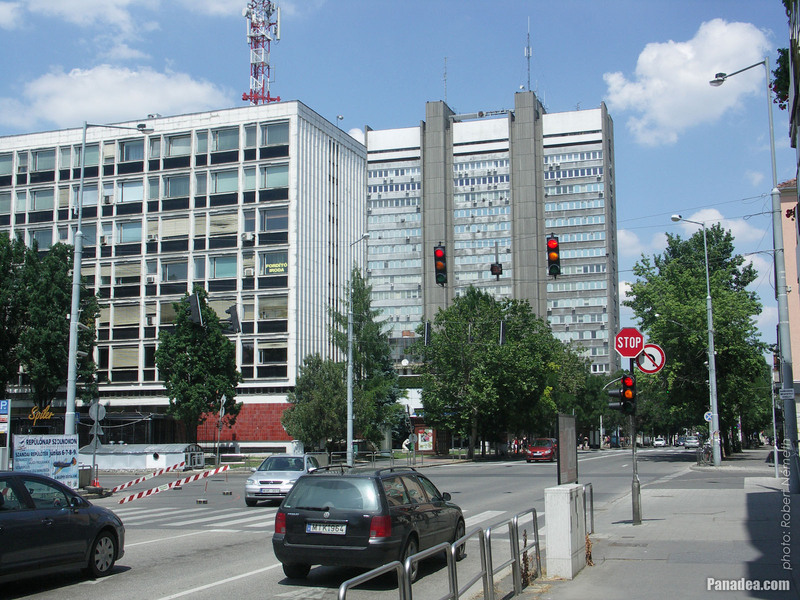 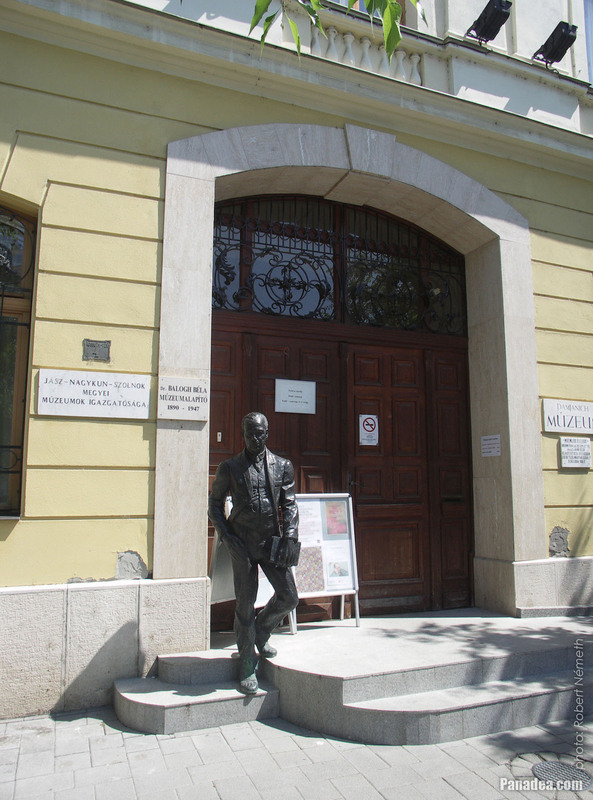 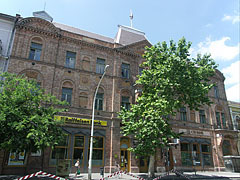 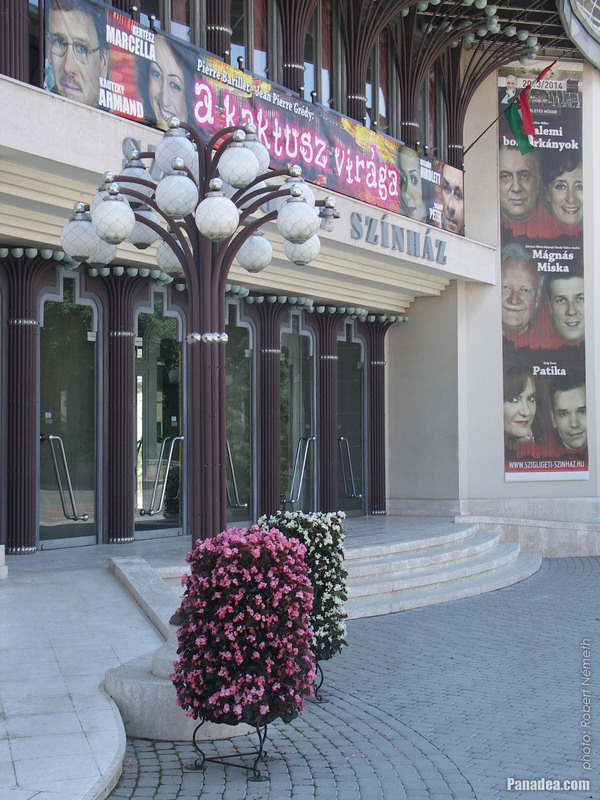 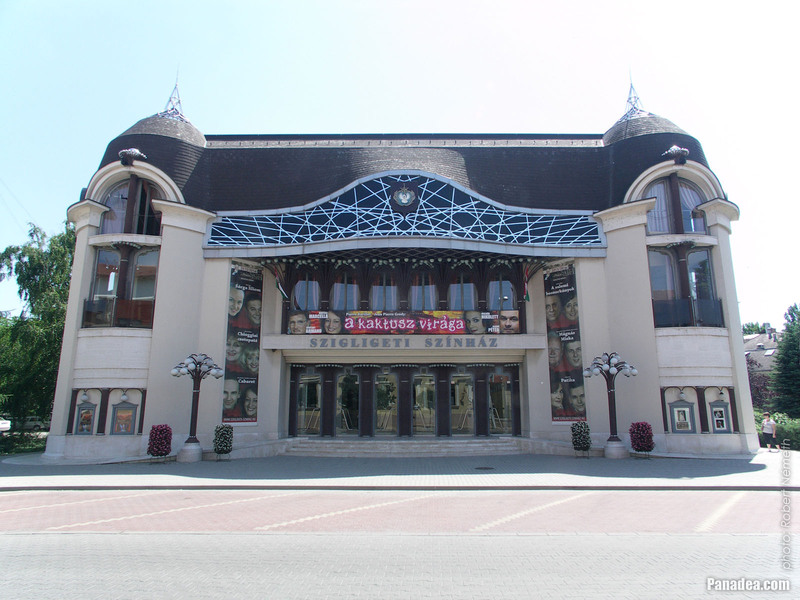 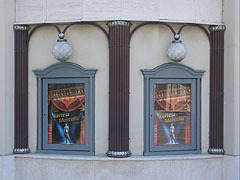 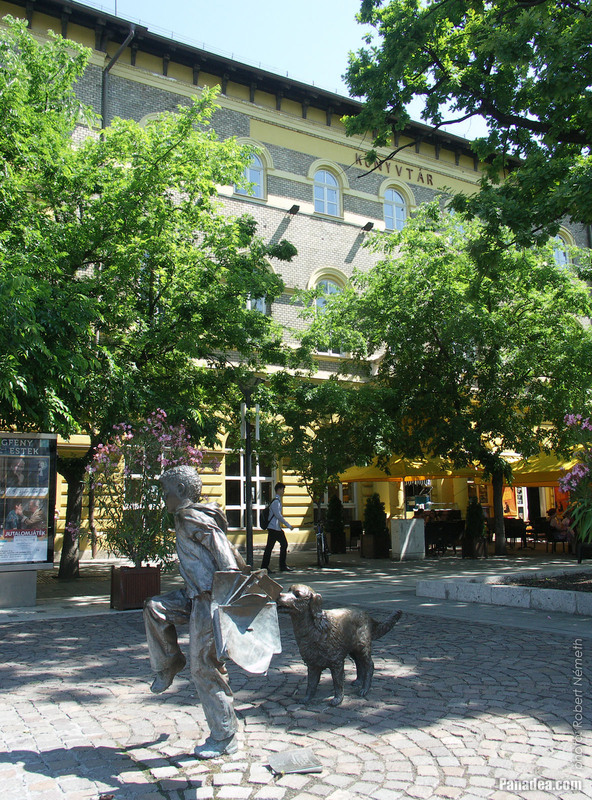 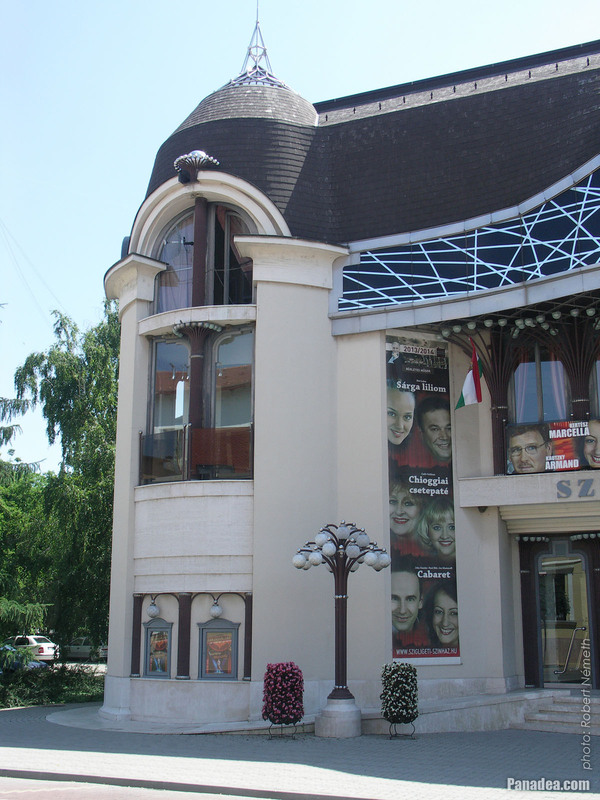 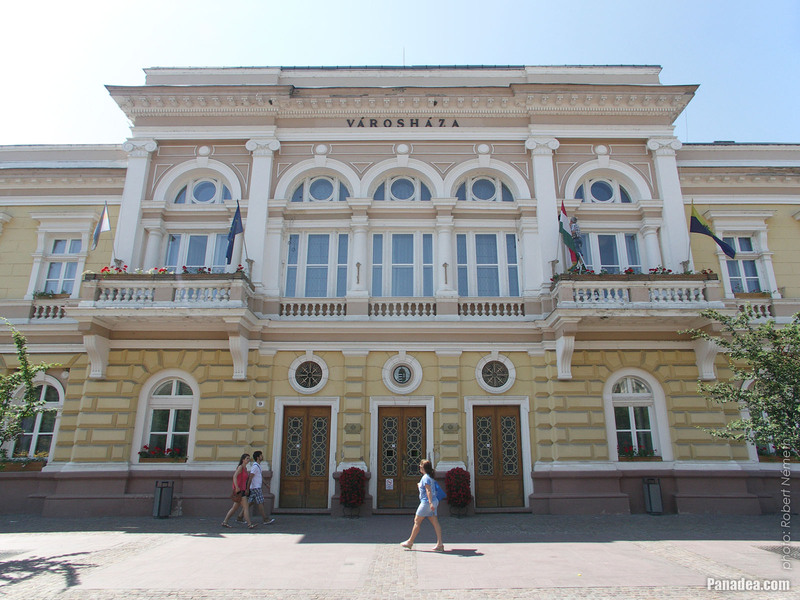 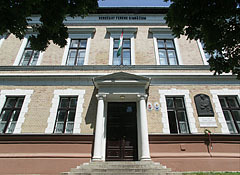 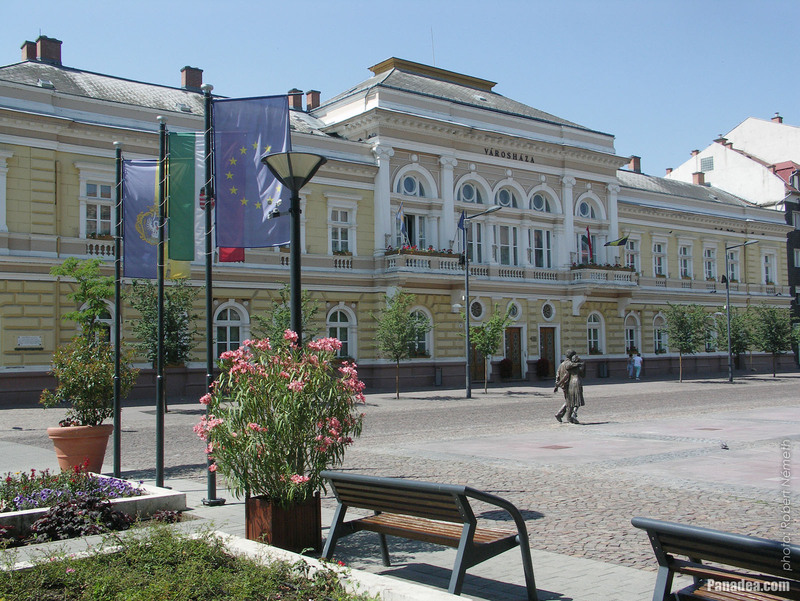 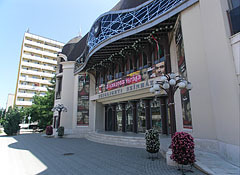 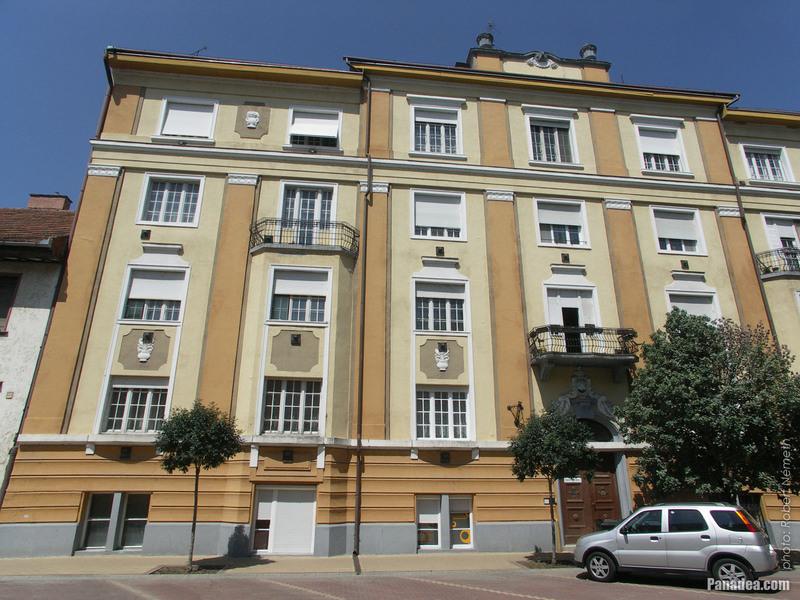 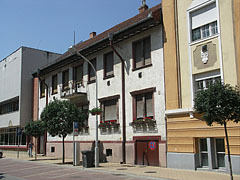 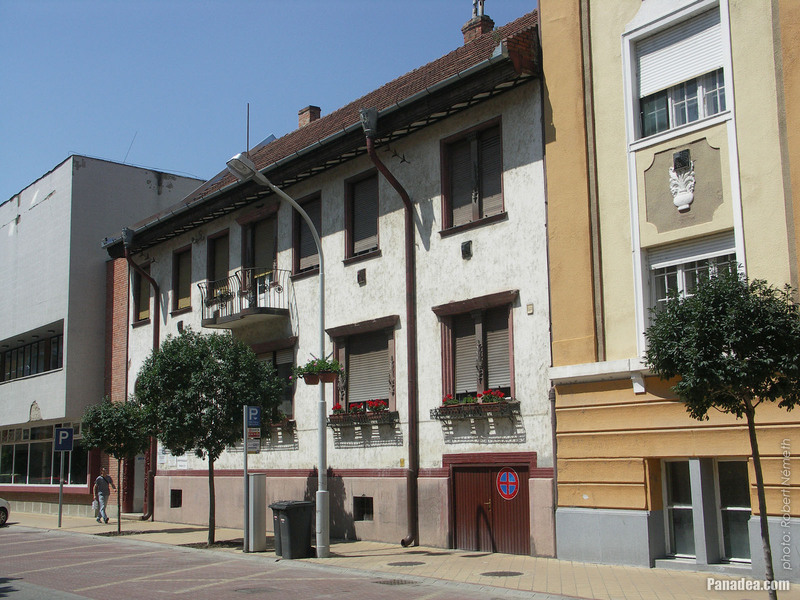 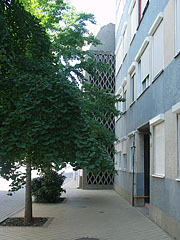 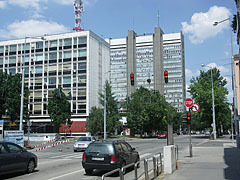 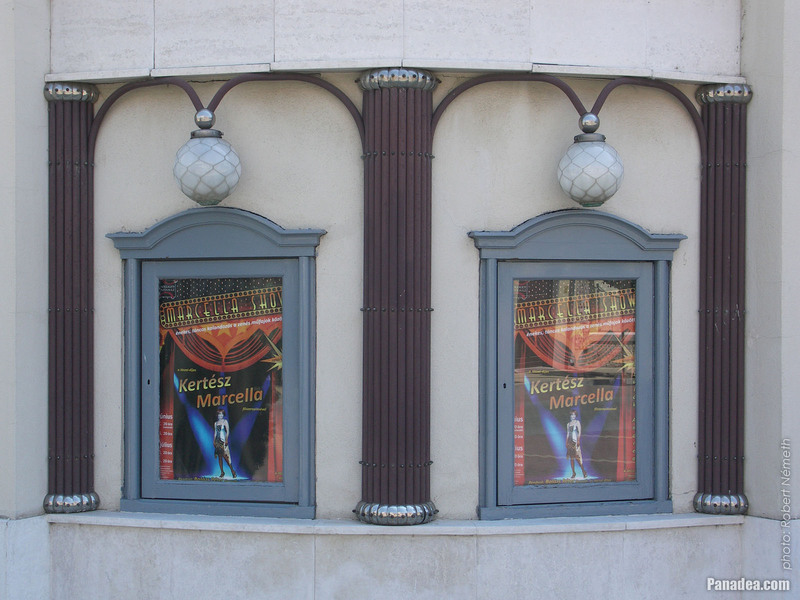 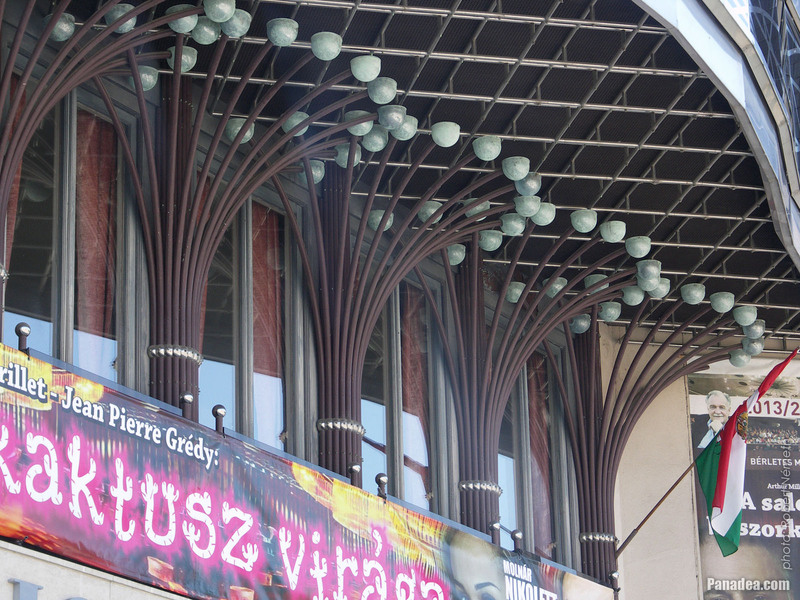 The theater received the current name after Ede Szigligeti only in 1954, when it became independent from the theatrical companies of Kecskemét and Békéscsaba. 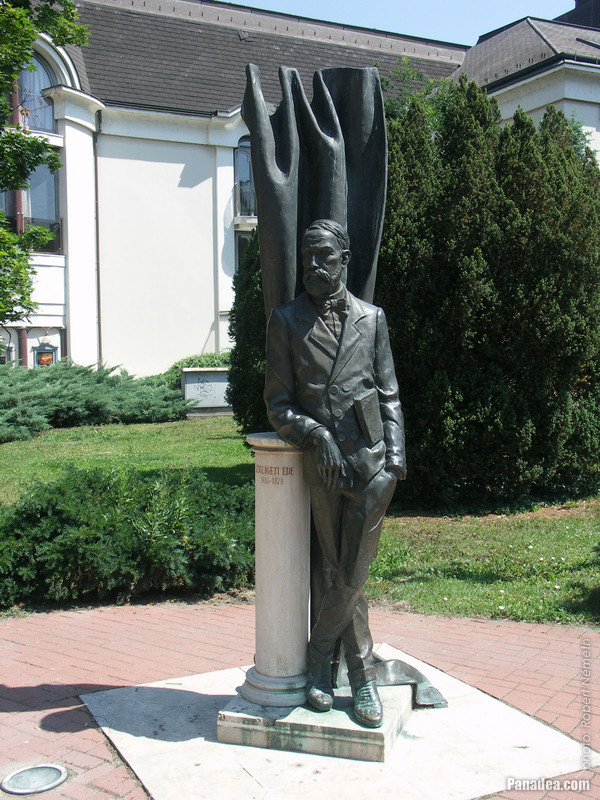 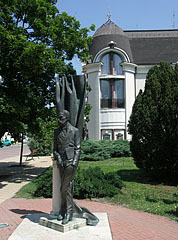 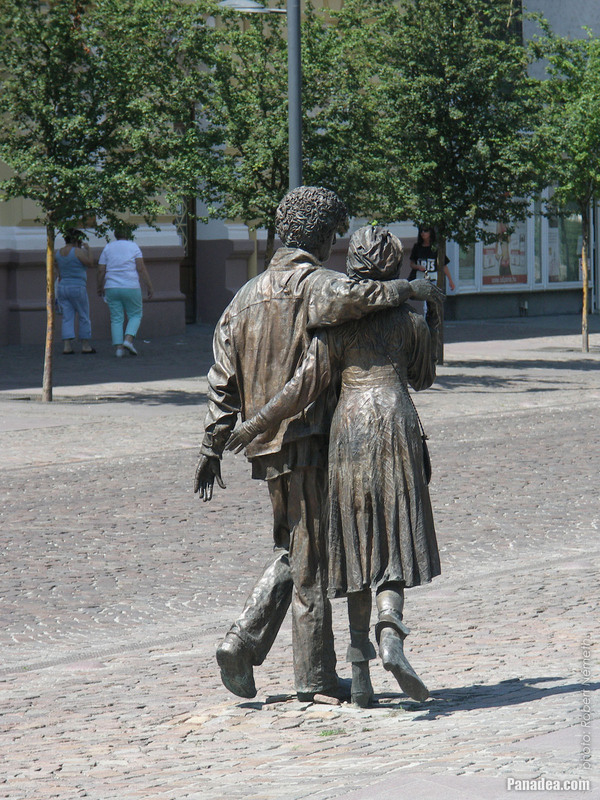 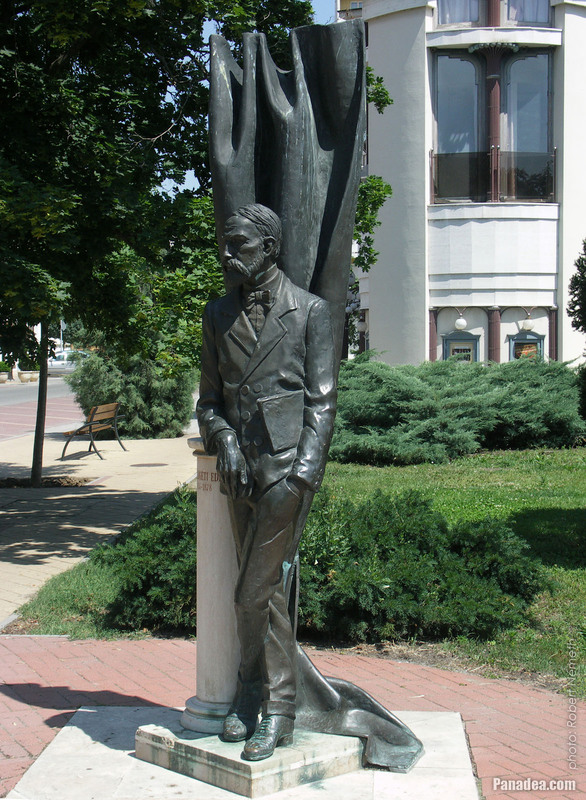 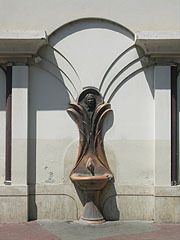 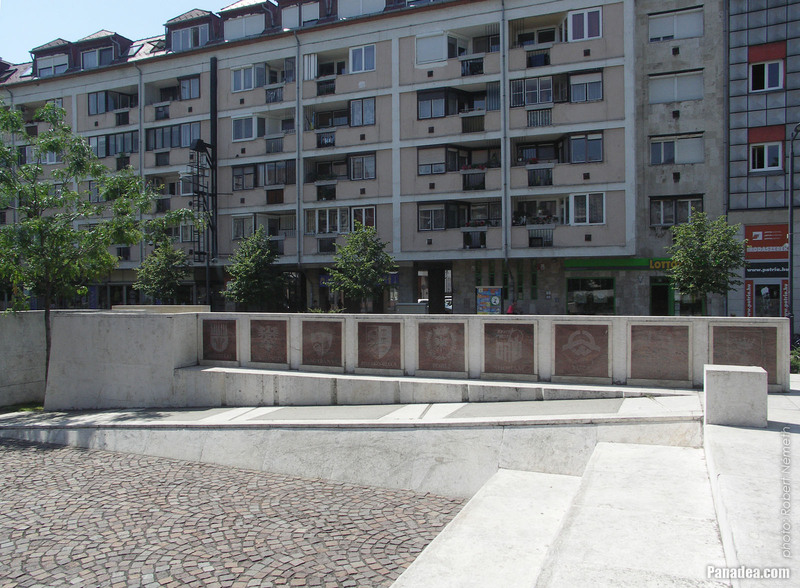 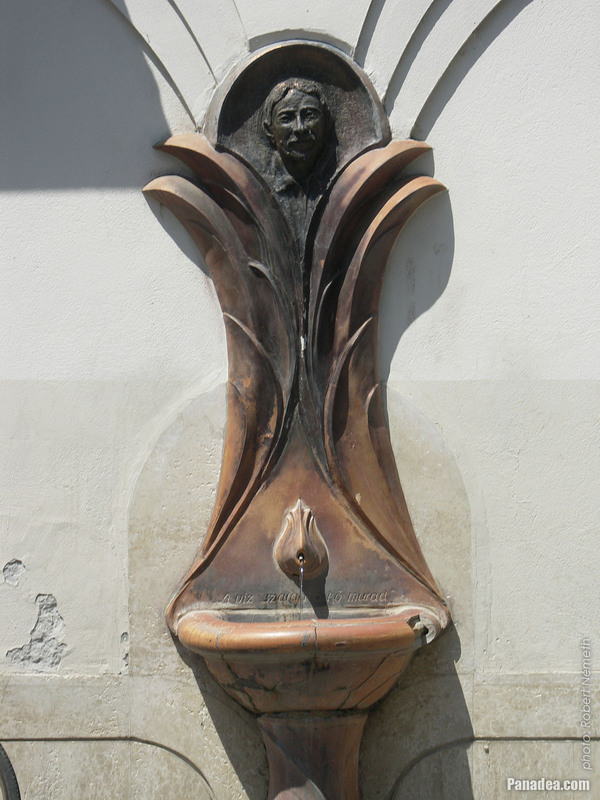 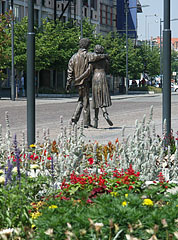 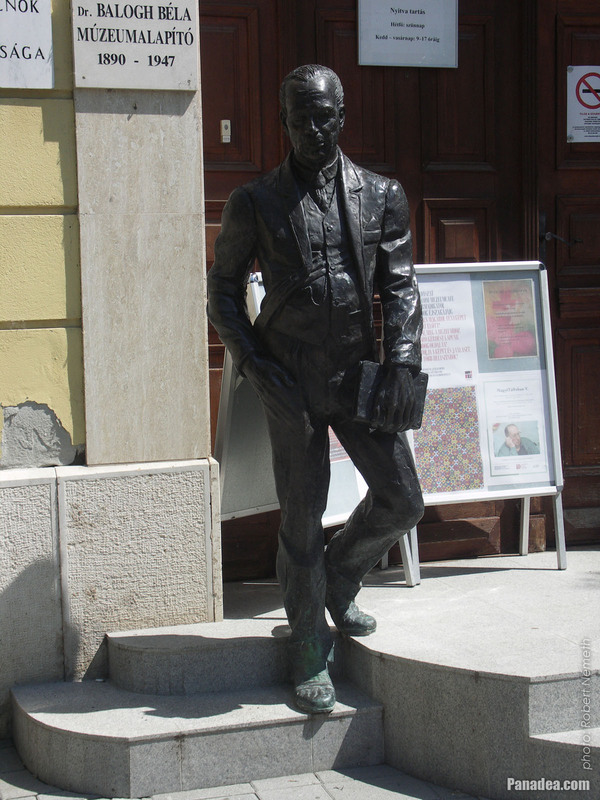 It was named after Péter Czibulás Hungarian actor (1940-2003), whose portrait can be seen on the fountain. 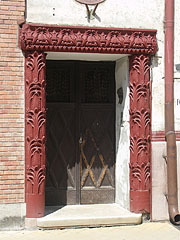 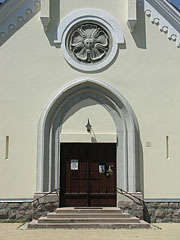 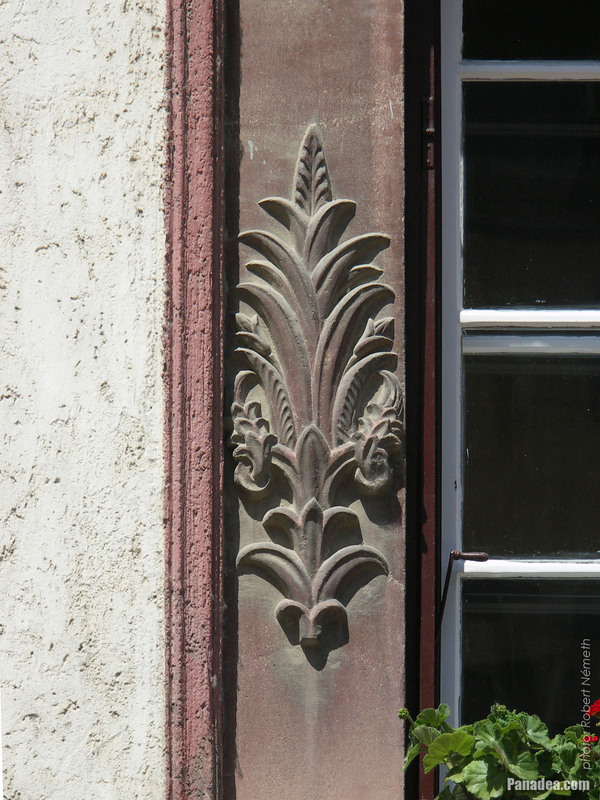 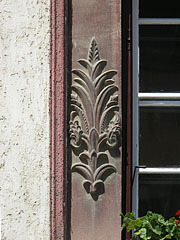 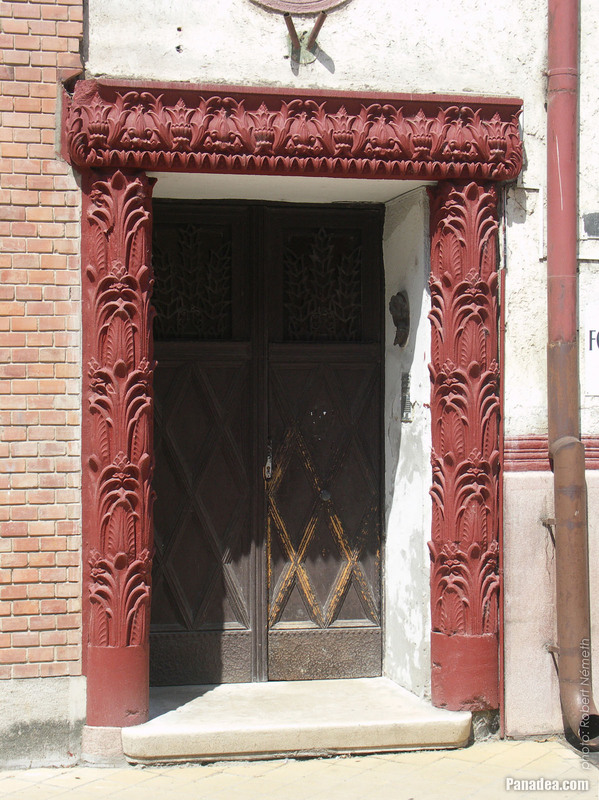 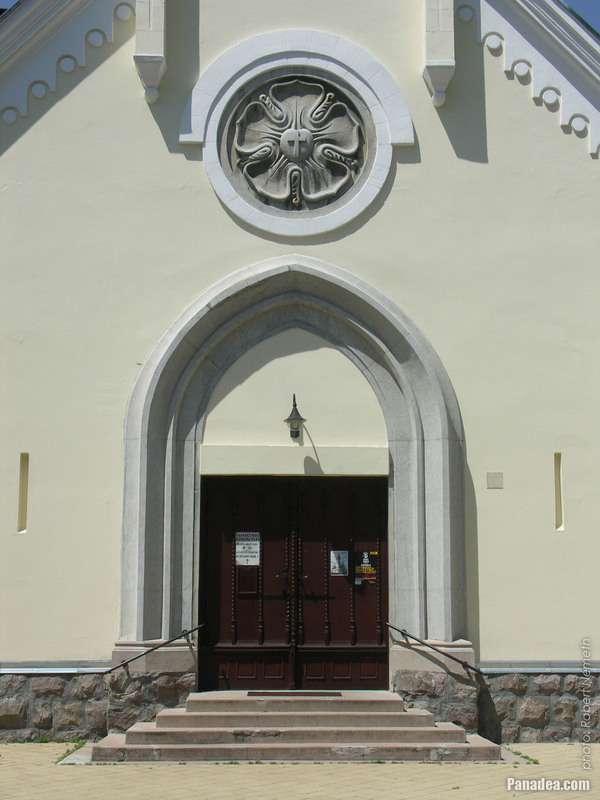 There is a stone carved Luther rose or Luther seal above the pointed arch door frame. 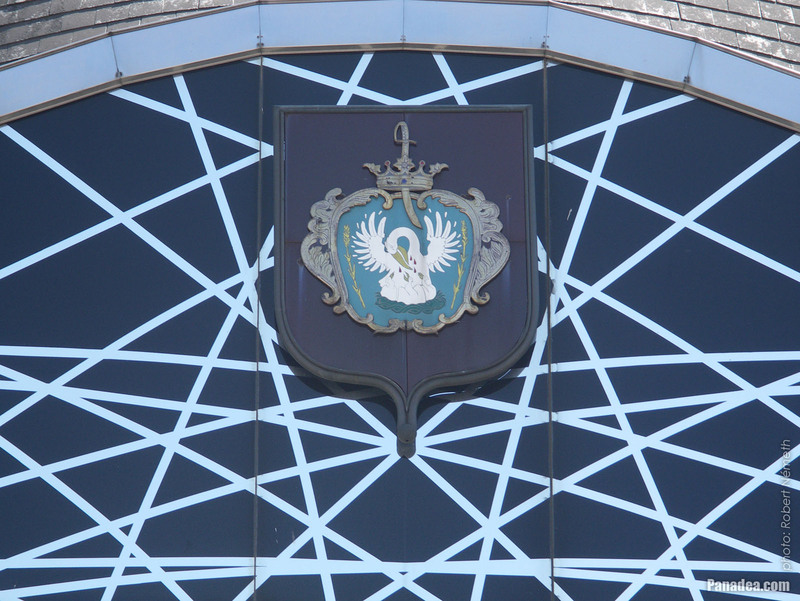 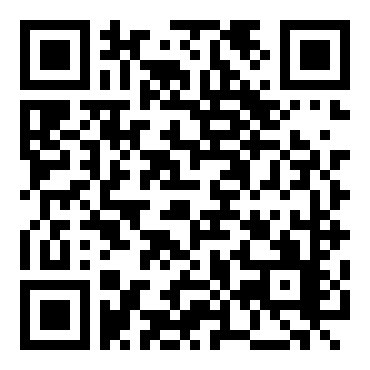 This is the symbol of the Lutheranism. 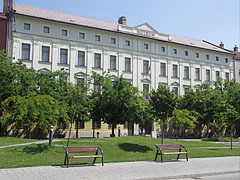 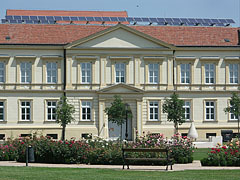 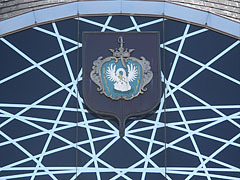 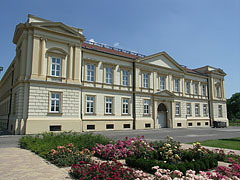 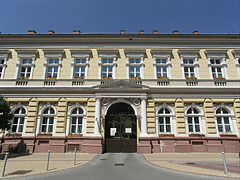 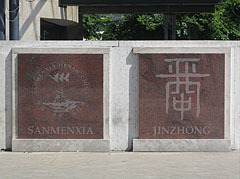 The educational institution got its current name in 1922. 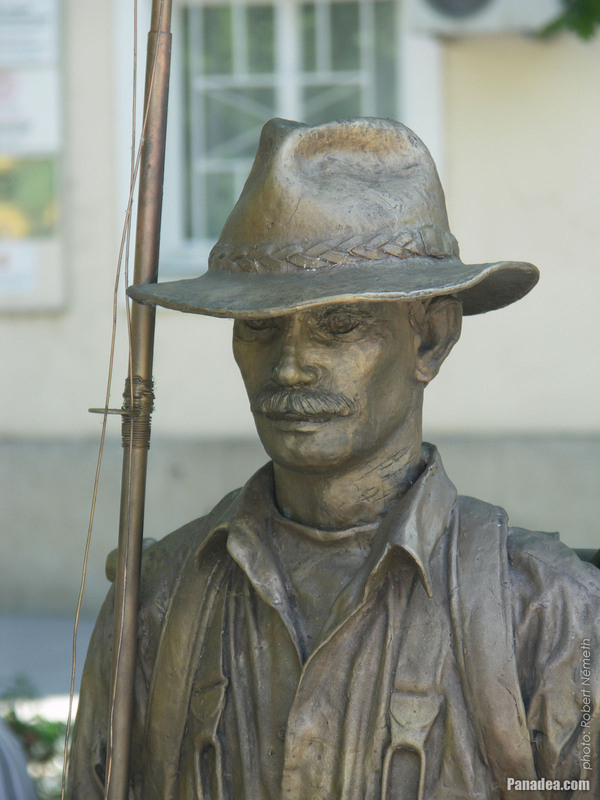 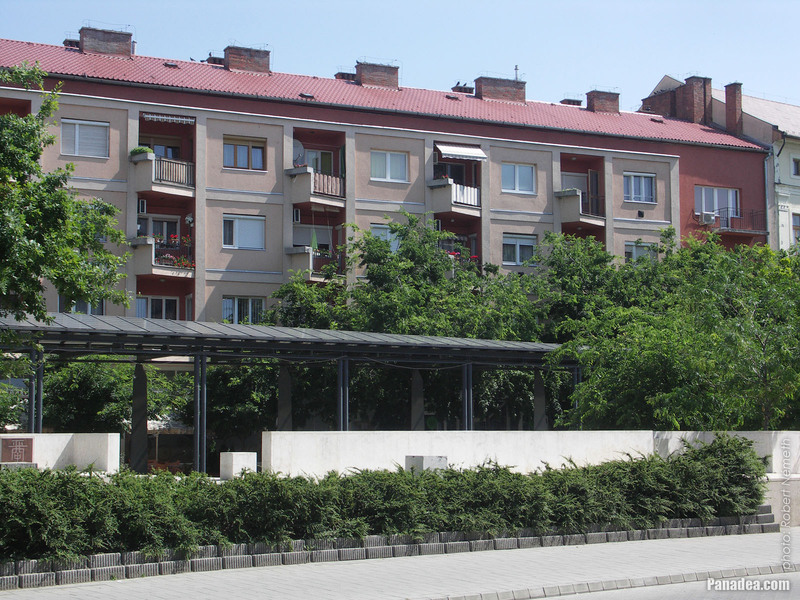 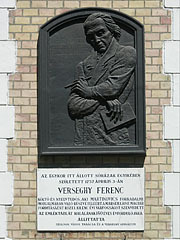 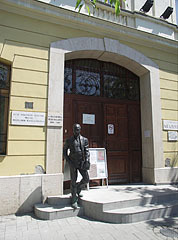 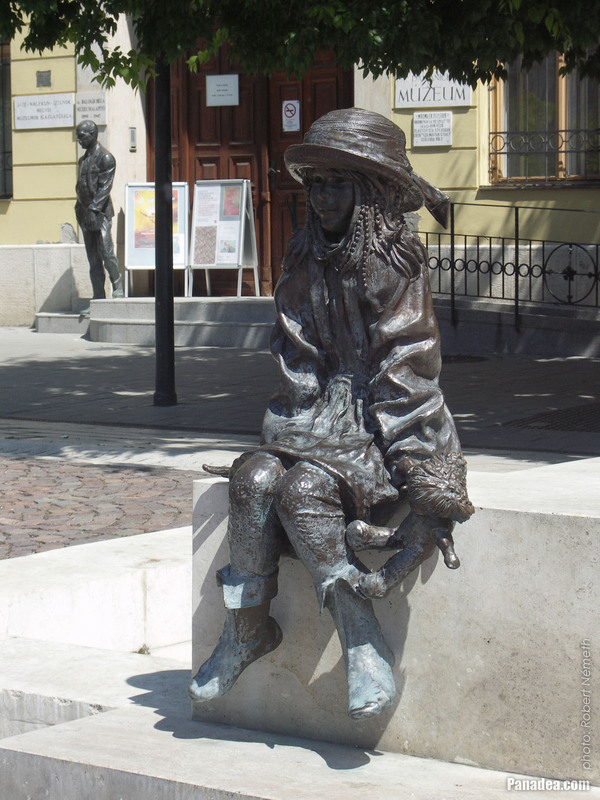 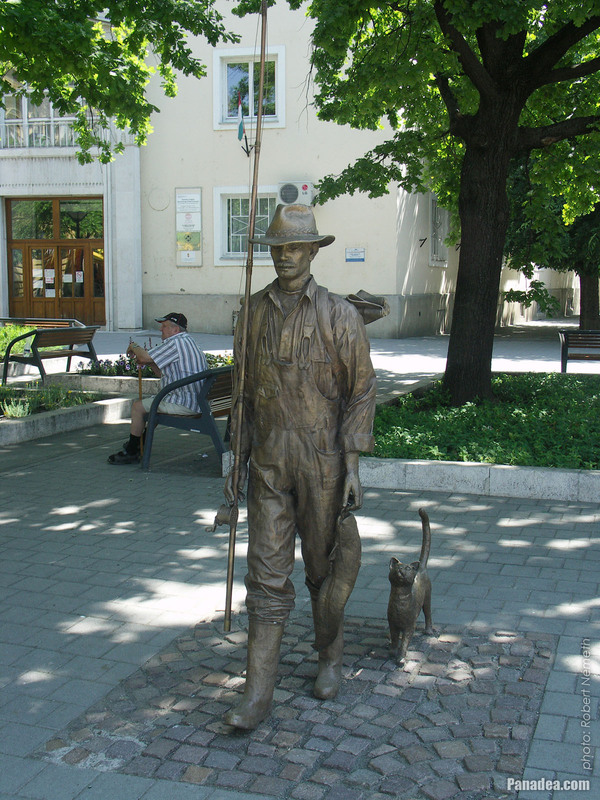 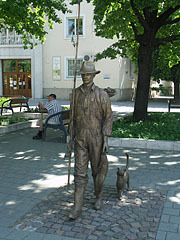 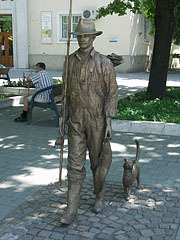 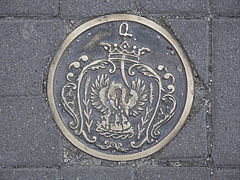 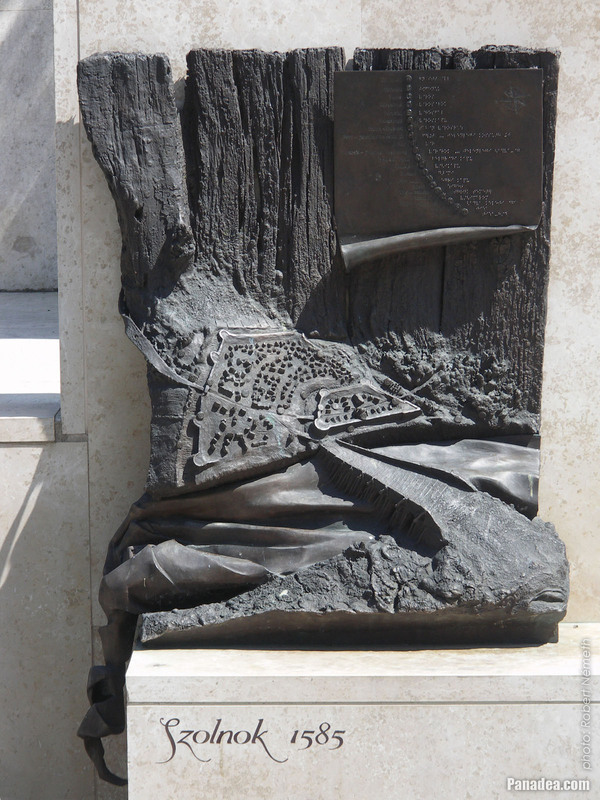 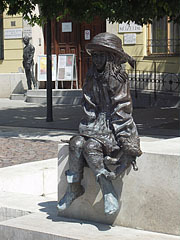 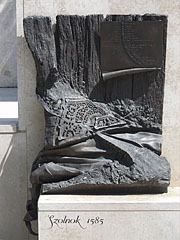 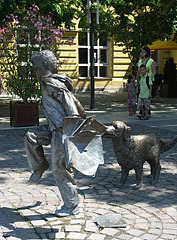 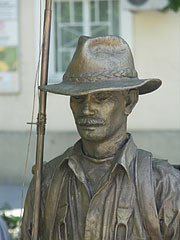 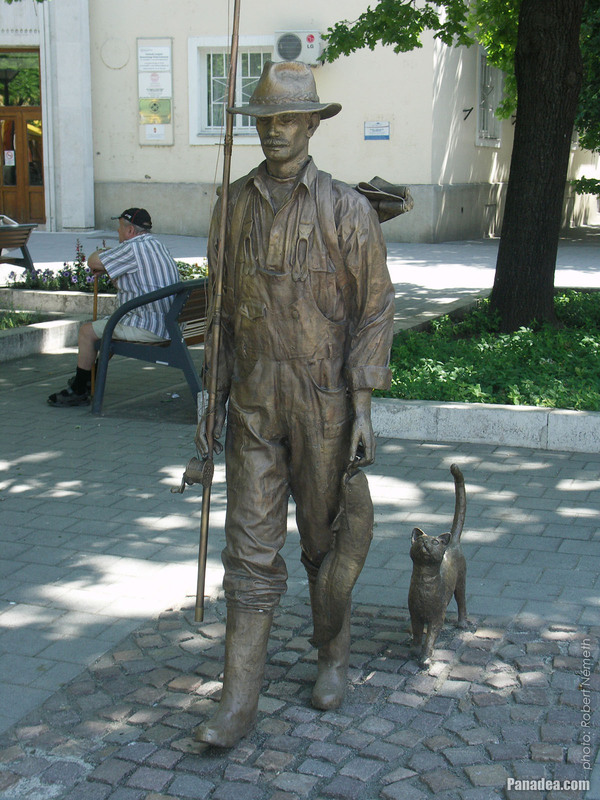 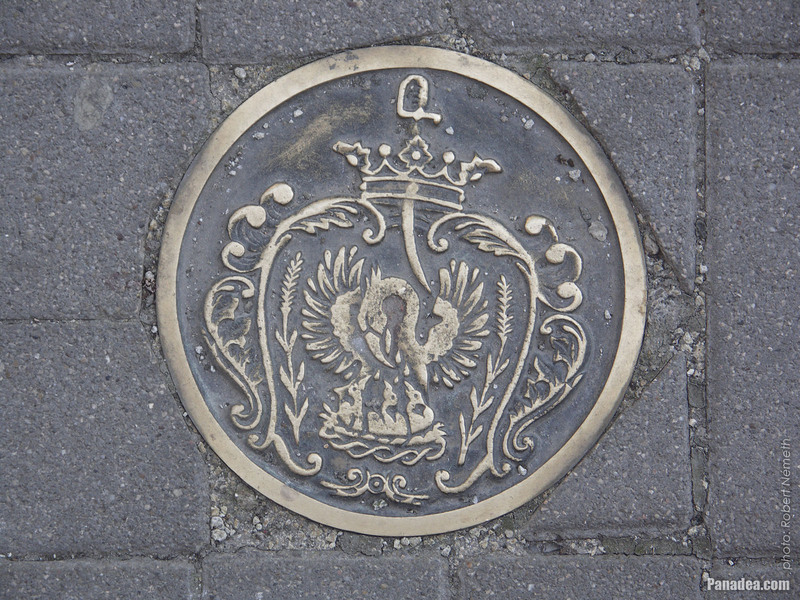 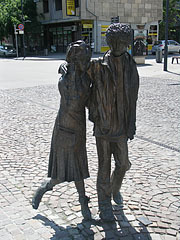 The bronze relief is created by Gábor Benő Pogány in 2001. 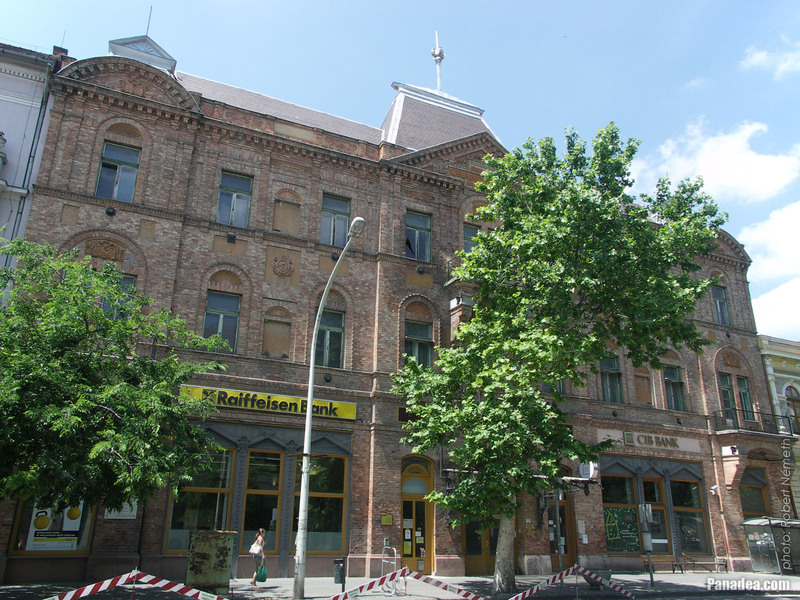 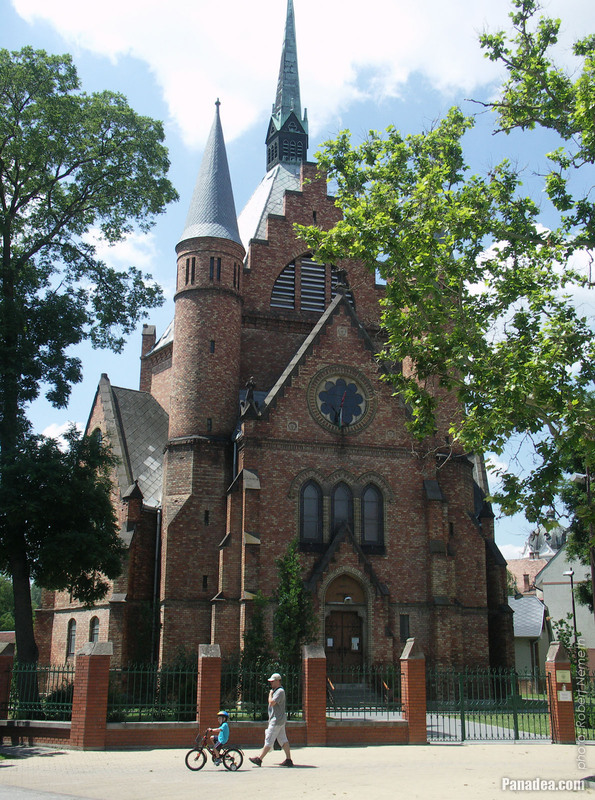 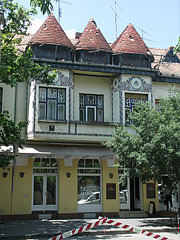 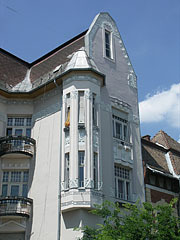 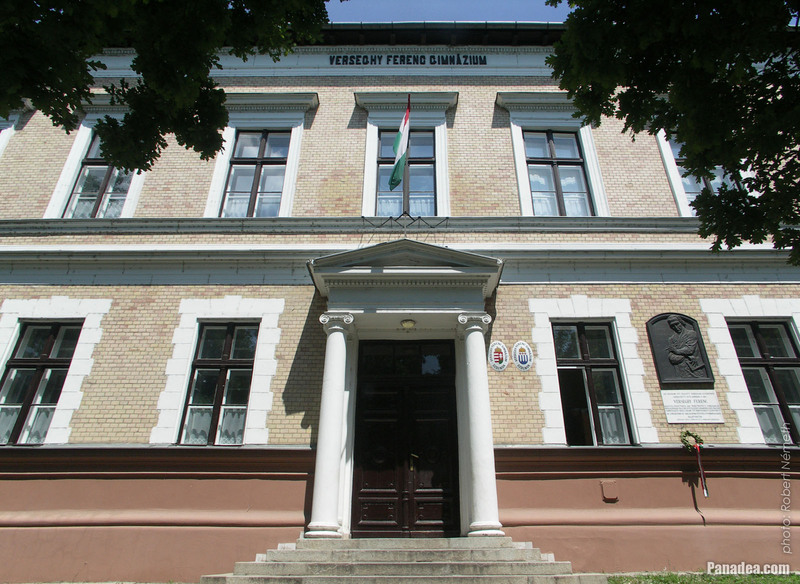 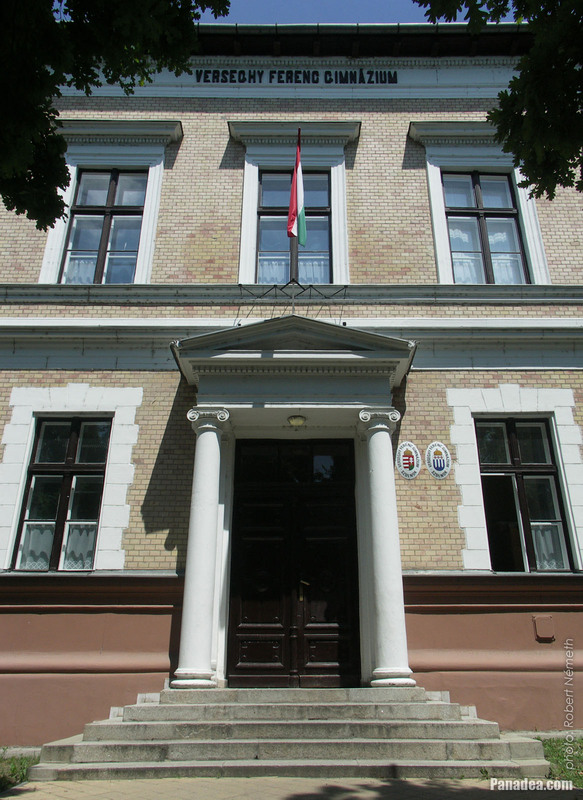 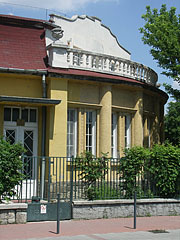 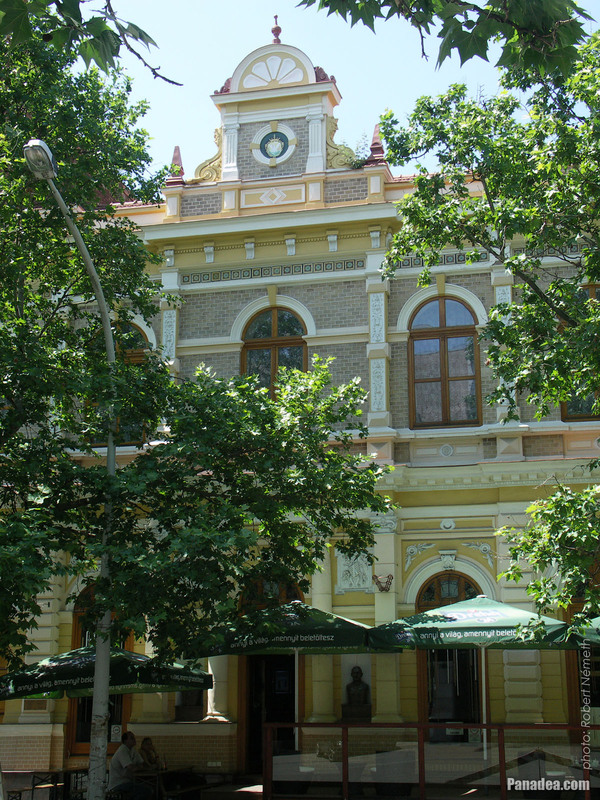 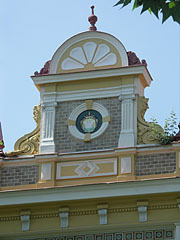 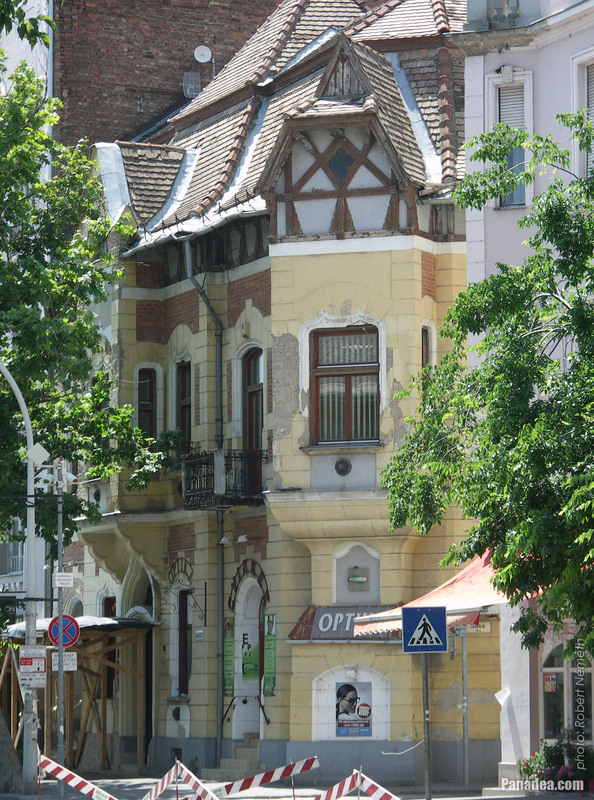 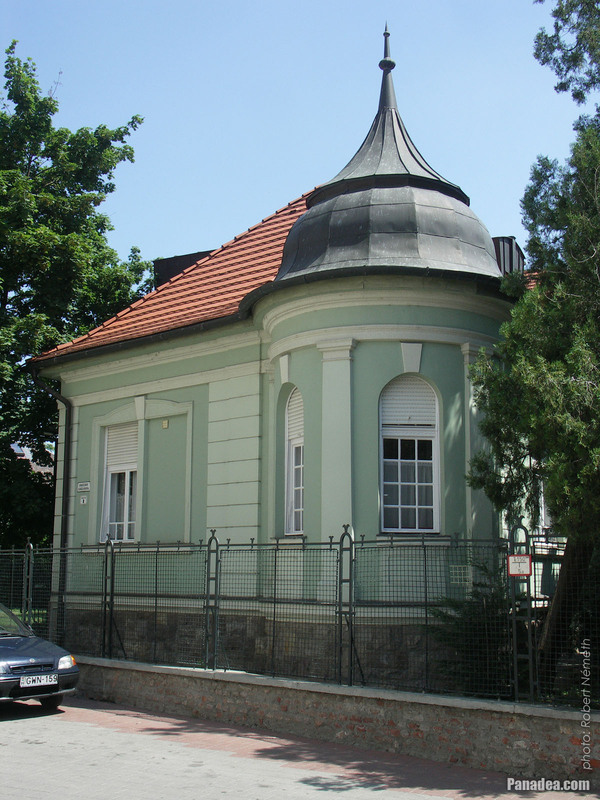 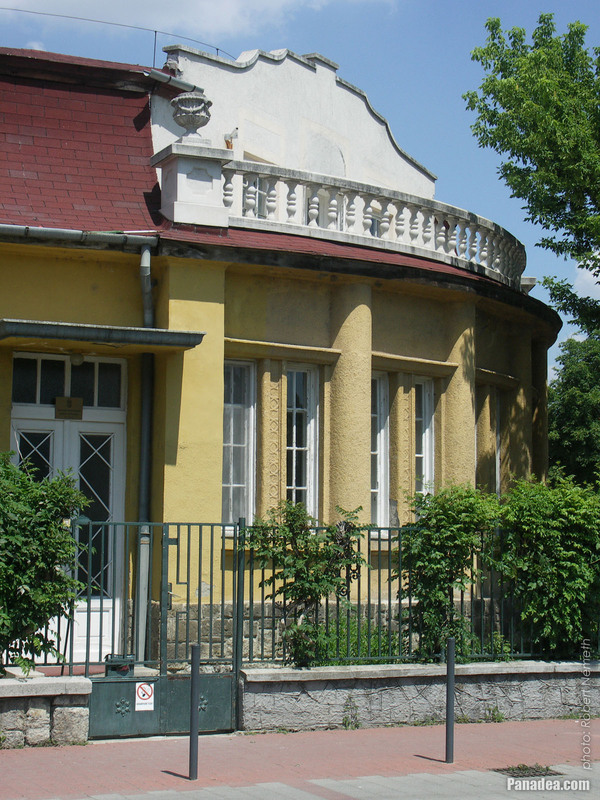 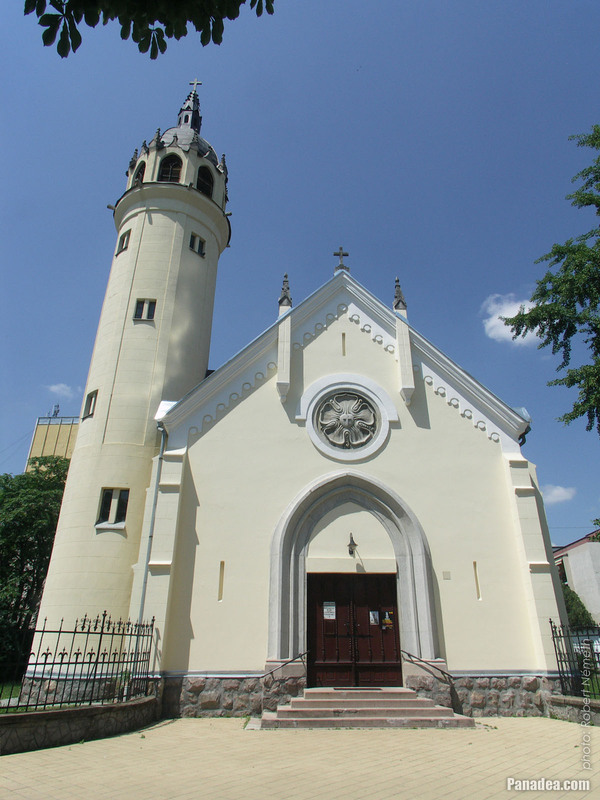 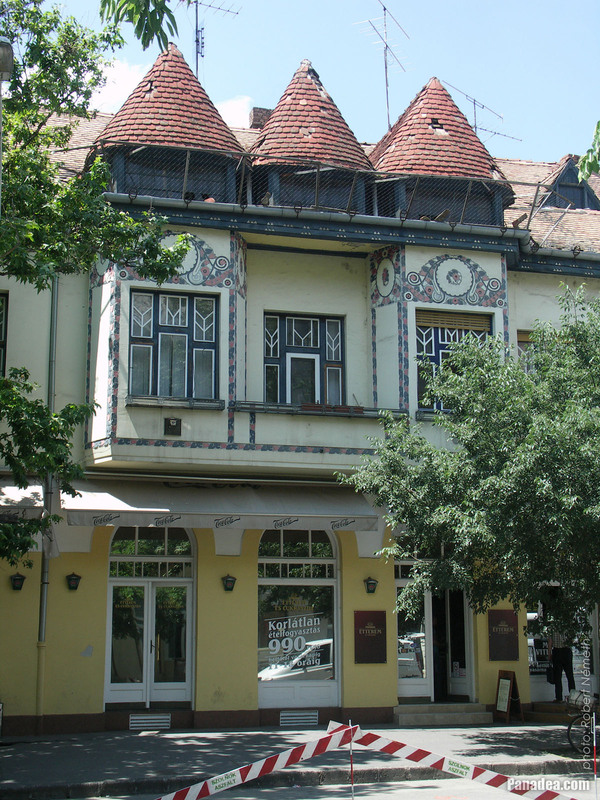 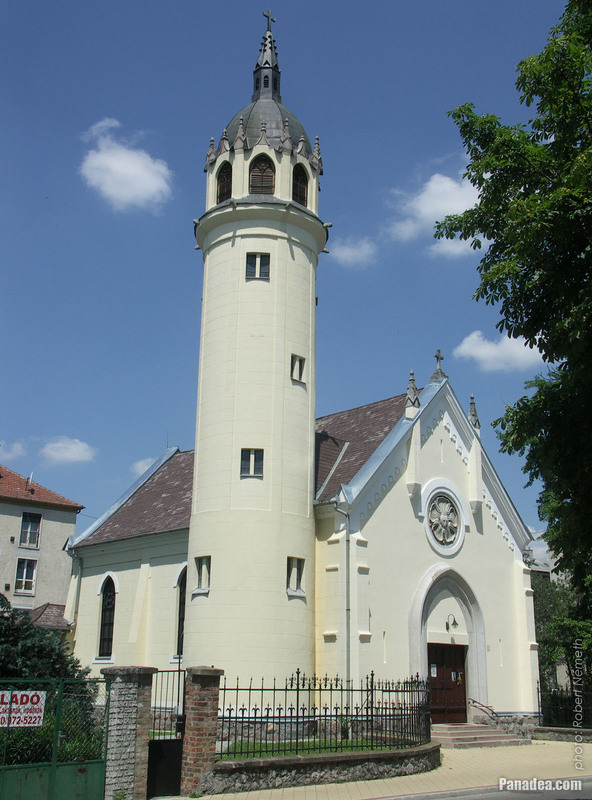 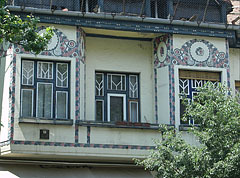 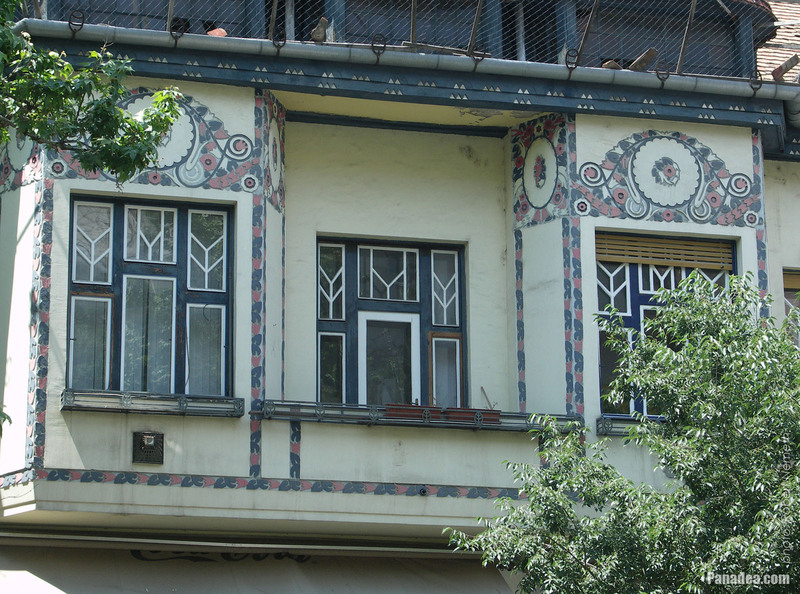 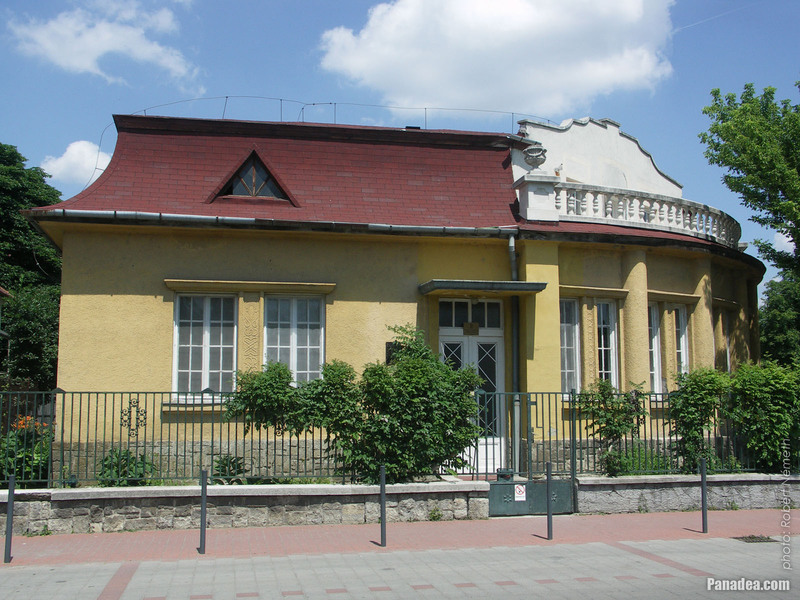 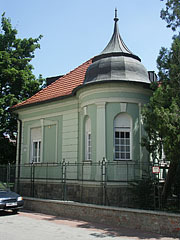 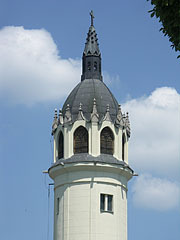 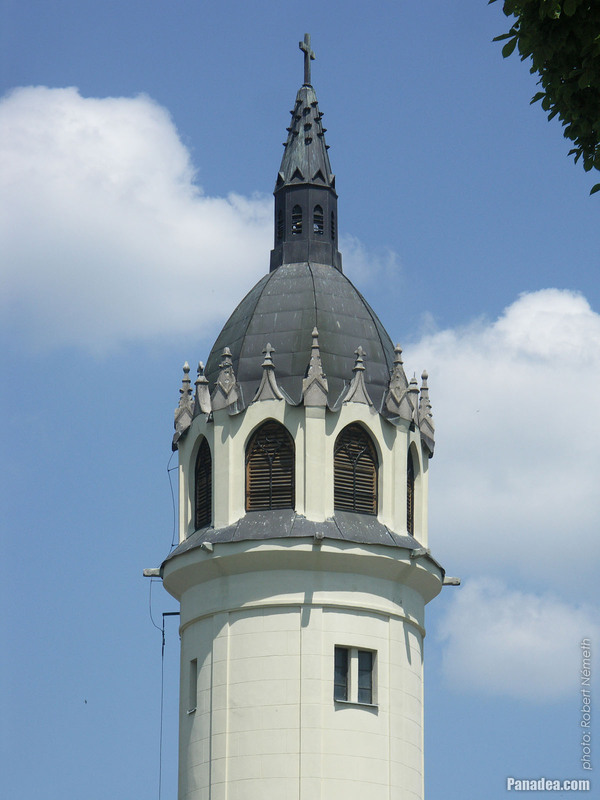 It was built between 1887 and 1892, designed by Károly Benkó architect from Budapest. 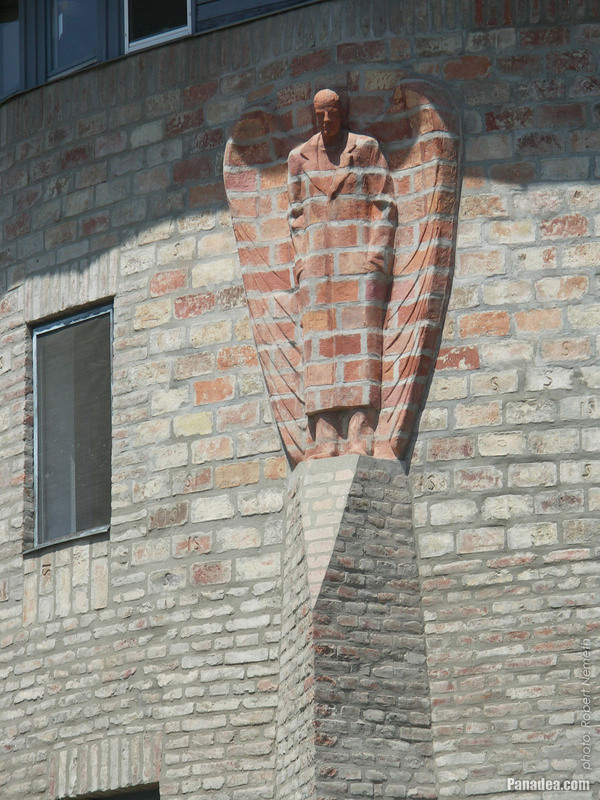 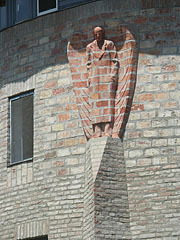 Sculpture of Raphael Archangel carved from the bricks, this is why its alternative name is "Angel from the wall"
Created by Gábor Bedey sculptor from Szolnok in 2002. 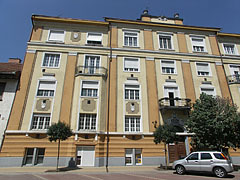 For a while it was a police office building as well. It was built in 1895 and it functioned as a hotel until 1971. 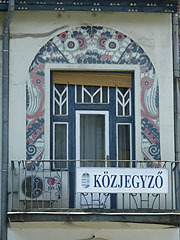 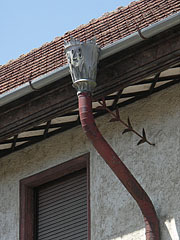 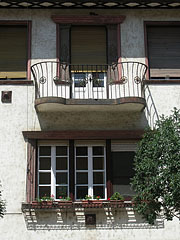 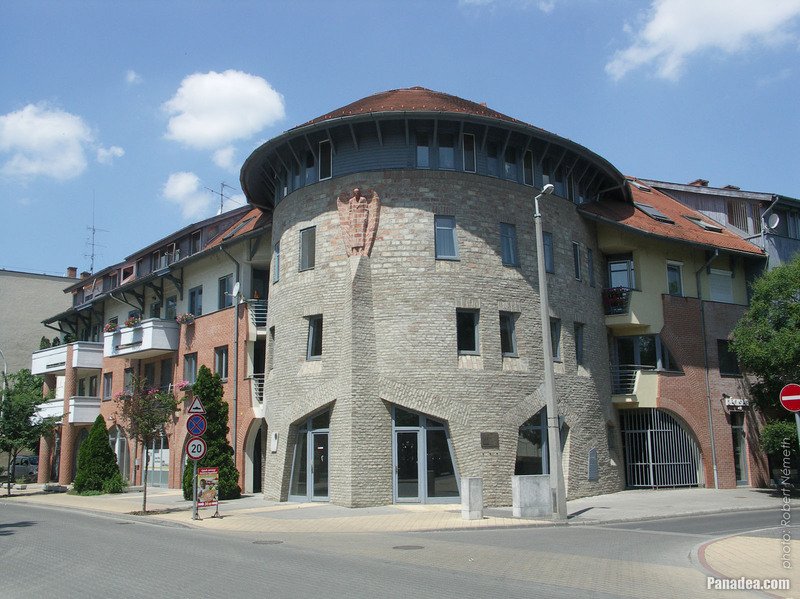 Designed by Lajos Kocsis. 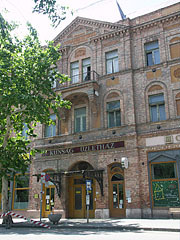 Since 1971 it is not a hotel any more. 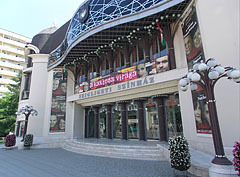 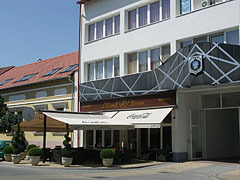 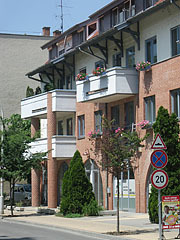 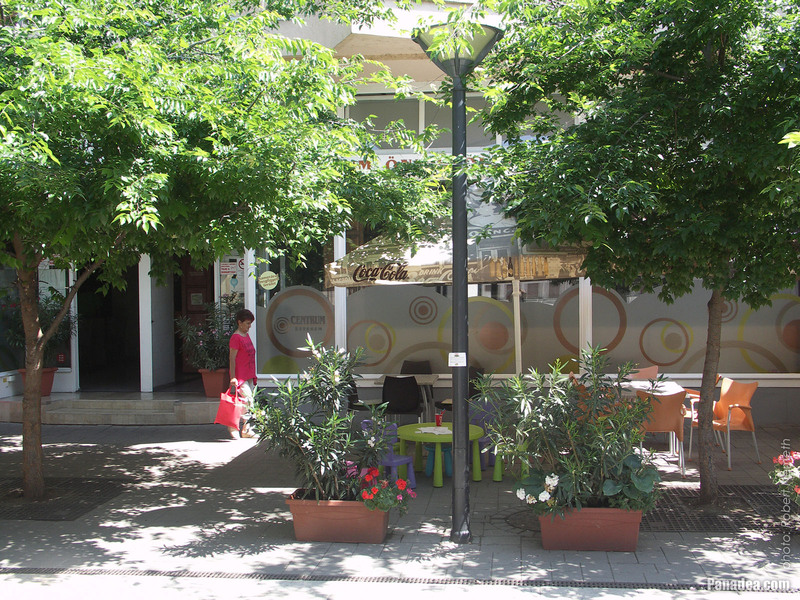 As a caption on it says now there's a shopping center (the "Kunság Üzletház") in the building. 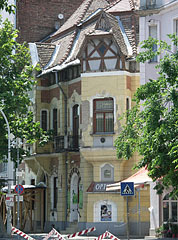 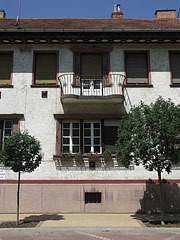 It was built in 1876. In the socialist era the entrance of the Vörös Csillag Cinema was here, but the screening room was in the Hotel National. 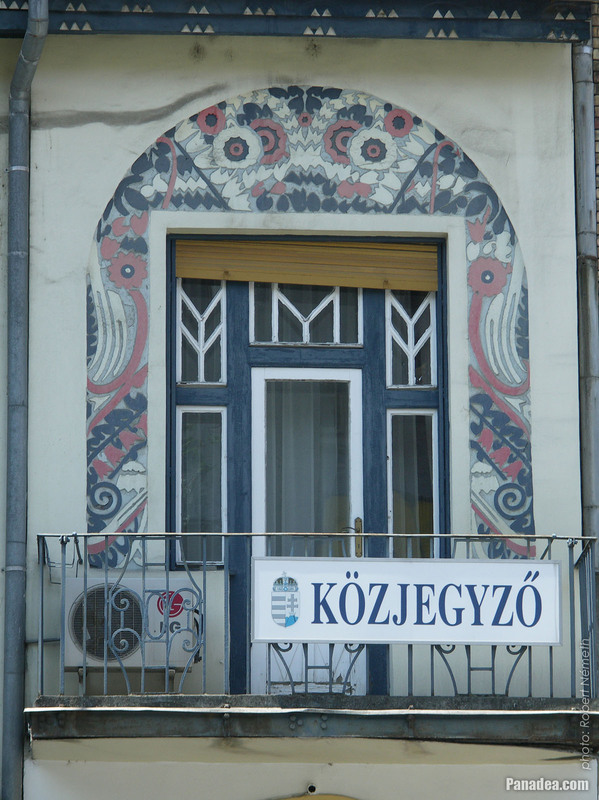 The so-called genre art style spread in Hungary in the 19th century. 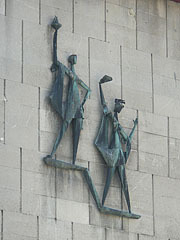 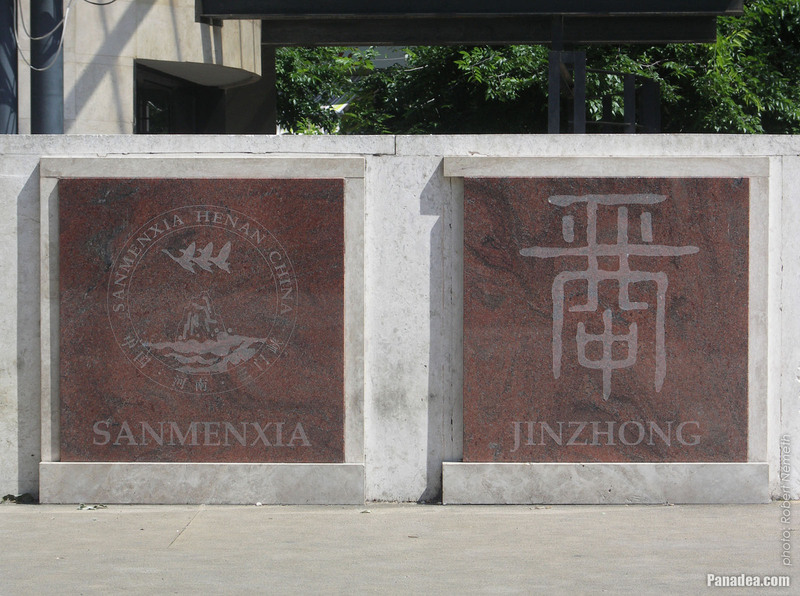 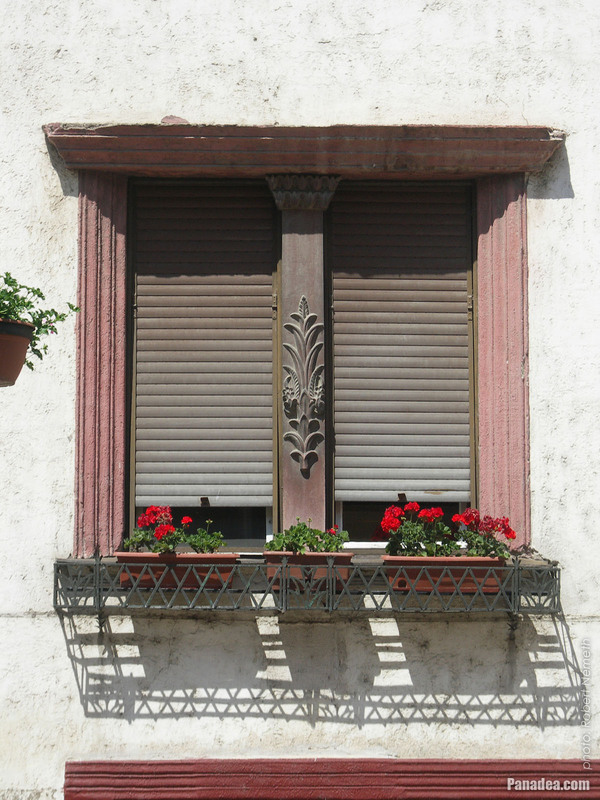 The artworks of this style represent events or scenes from the everyday life, usually in a people friendly way as much as possible. 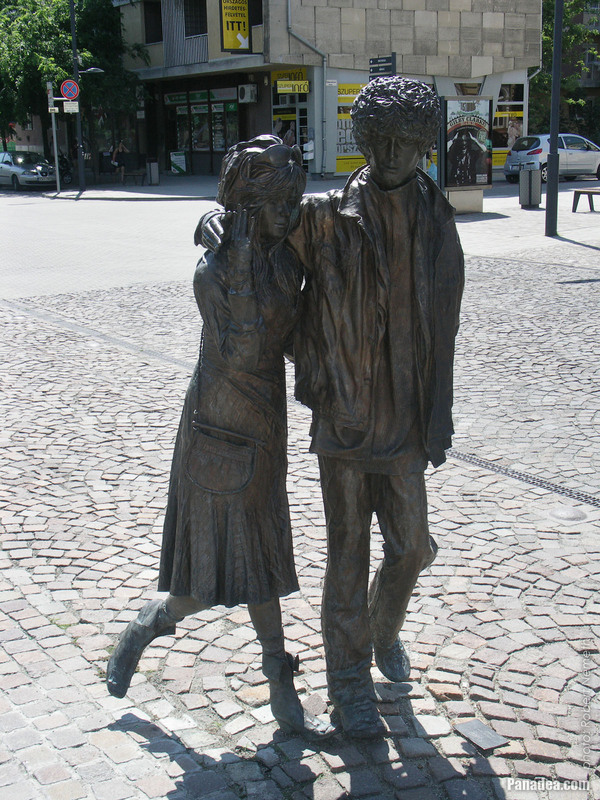 Today these are experiencing a renaissance mostly in the form of genre sculptures, which are almost always life-sized and usually placed among the passers-by in the cities, on the sidewalks, in the parks, etc. 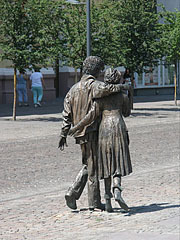 Nowadays their function is primarily to entertain (for example to engage the passers-by into the artwork, even for a photo), and of course to decorate the public squares and other community areas.